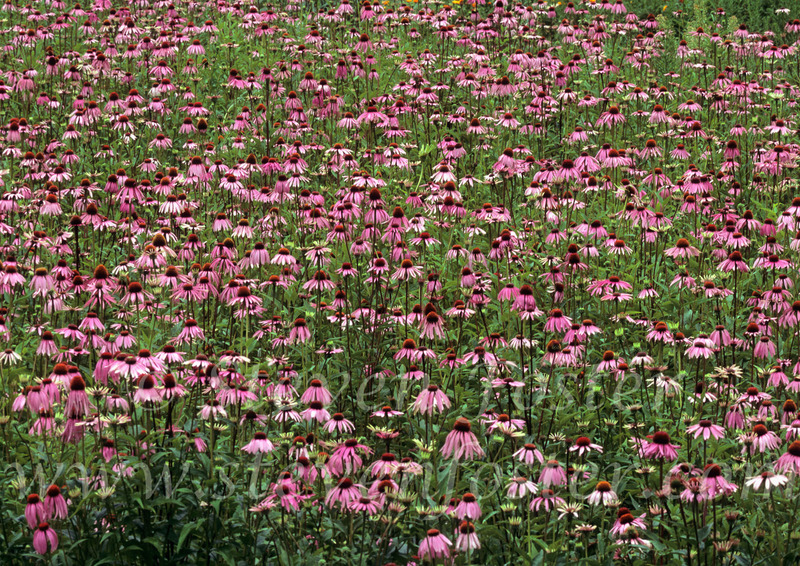 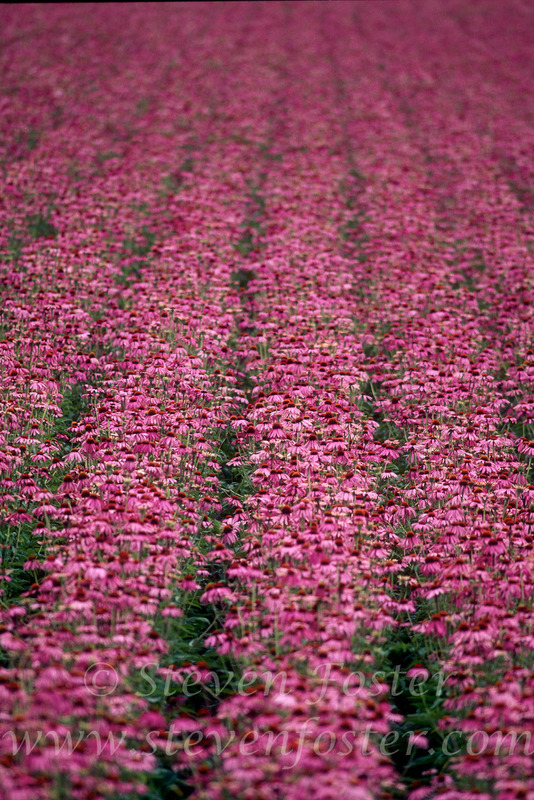 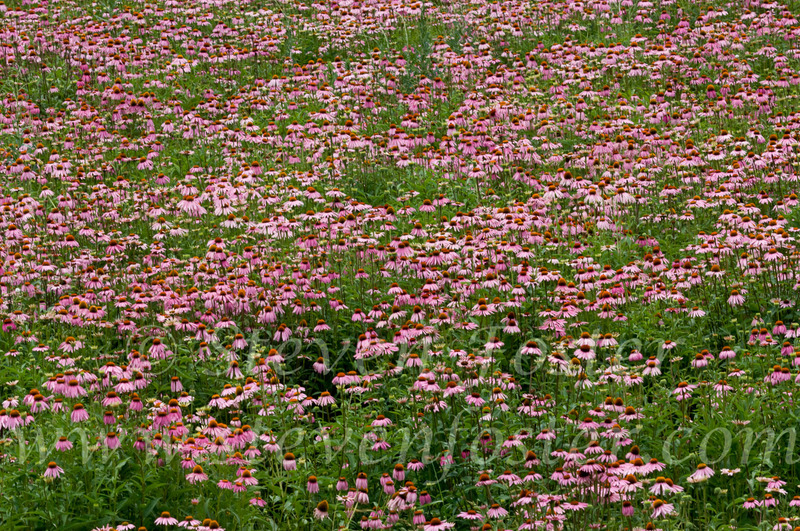 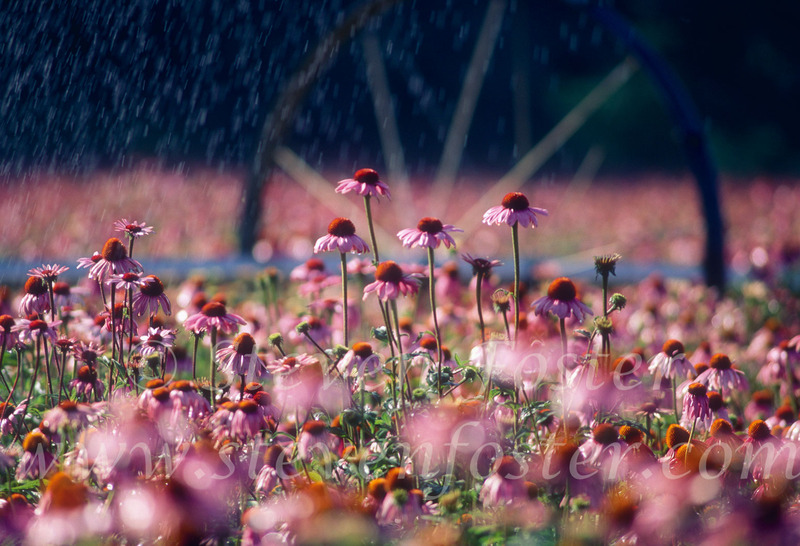 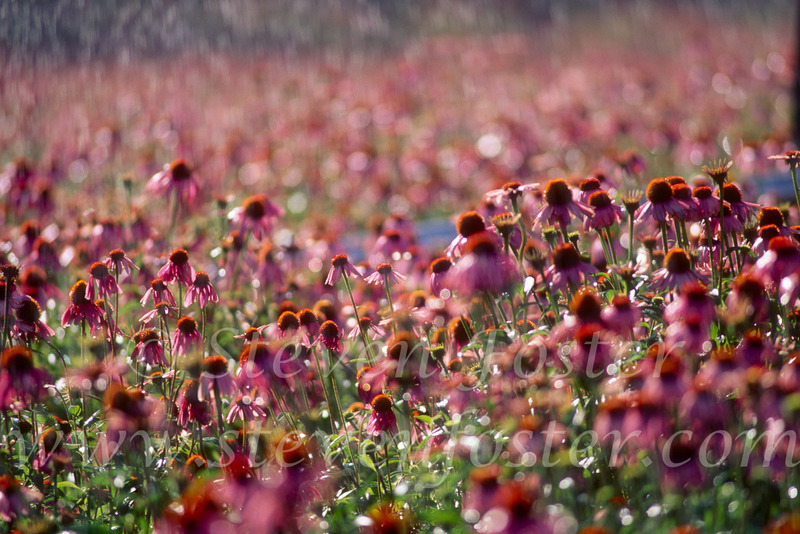 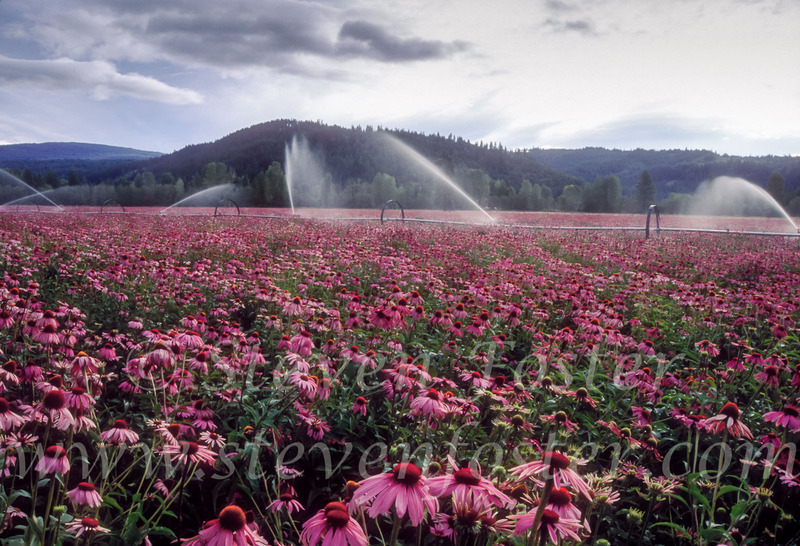 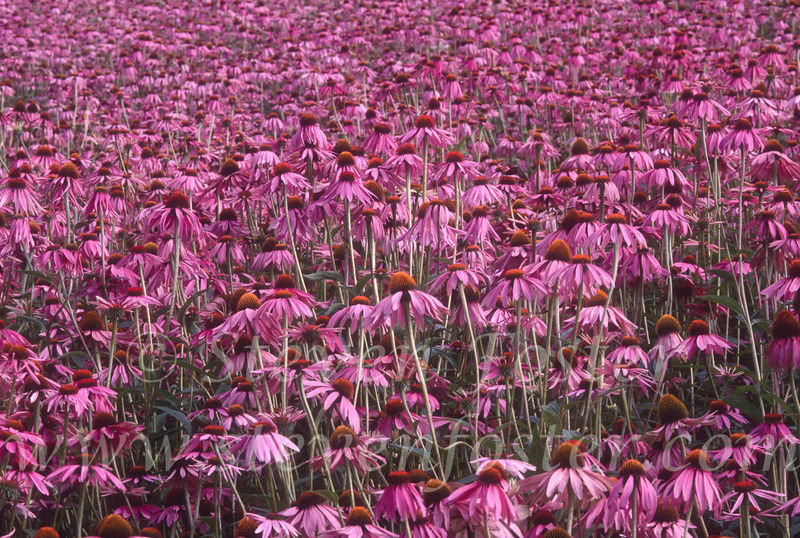 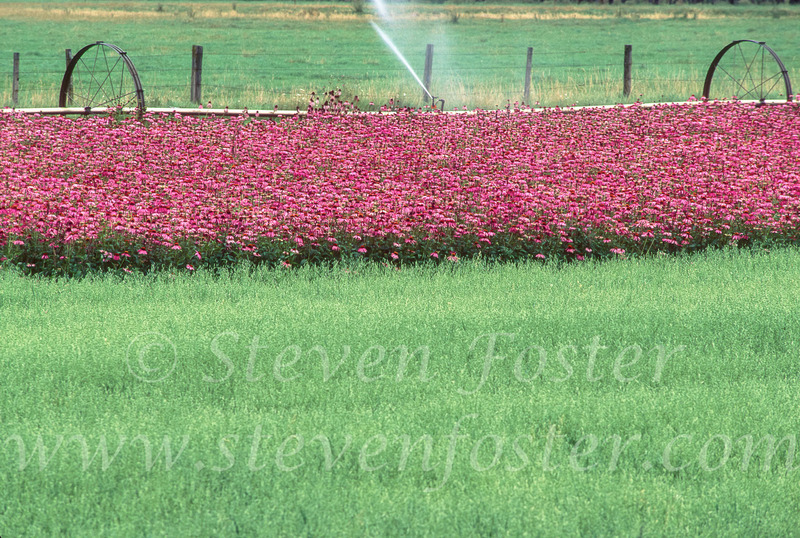 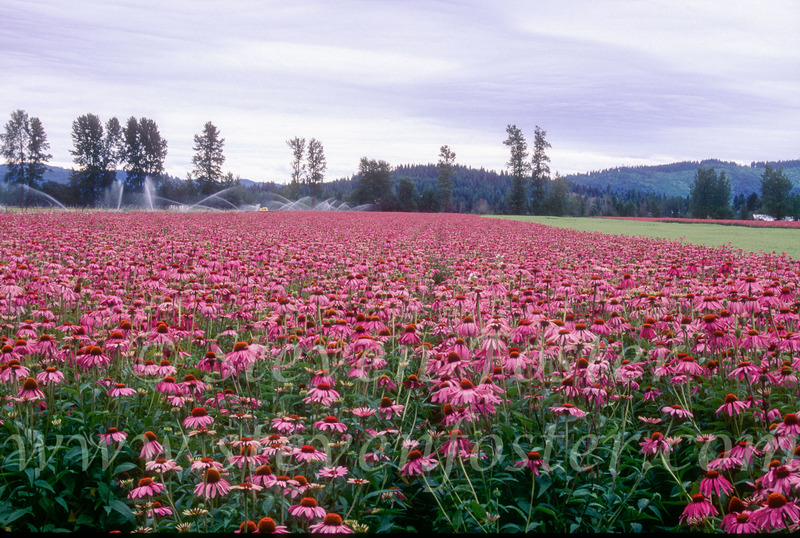 Echinacea purpurea, echinacea farming, echinacea production. 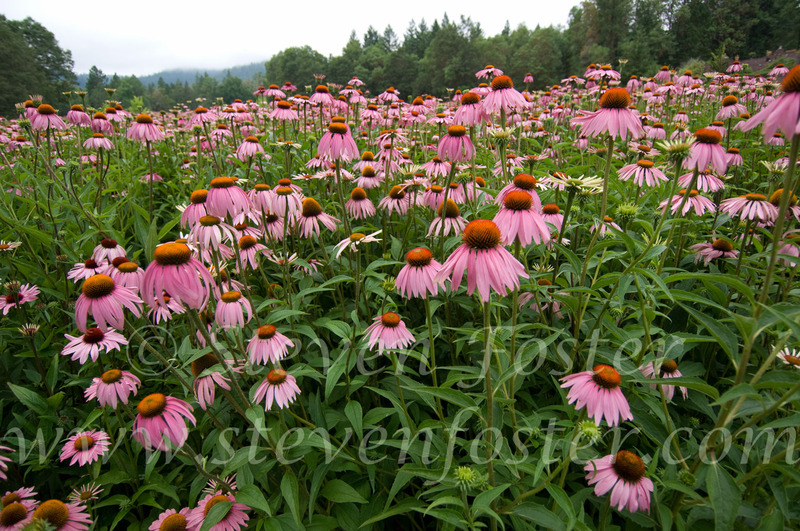 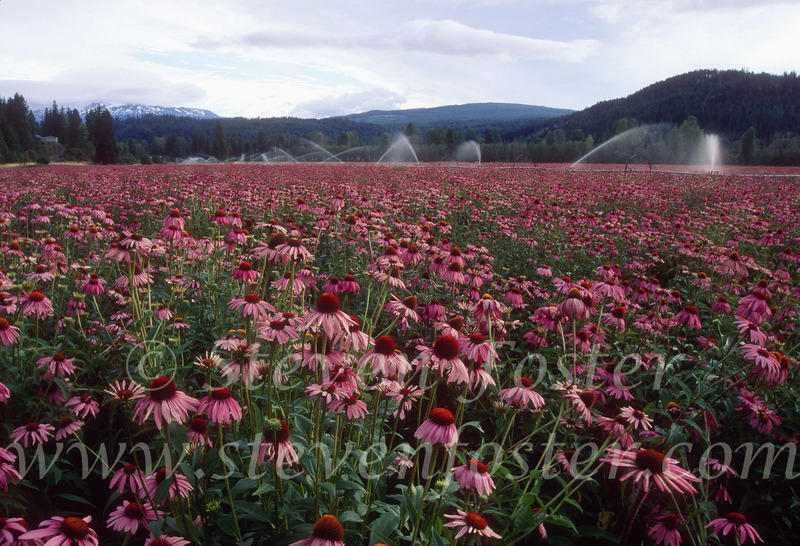 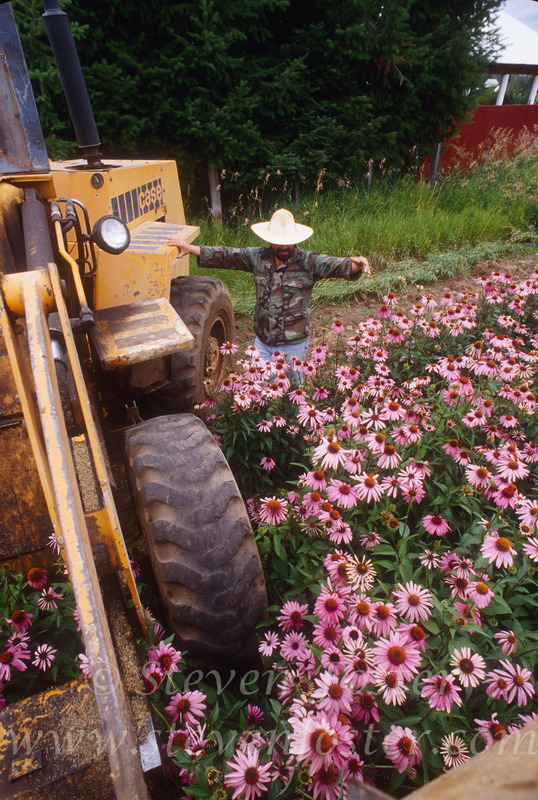 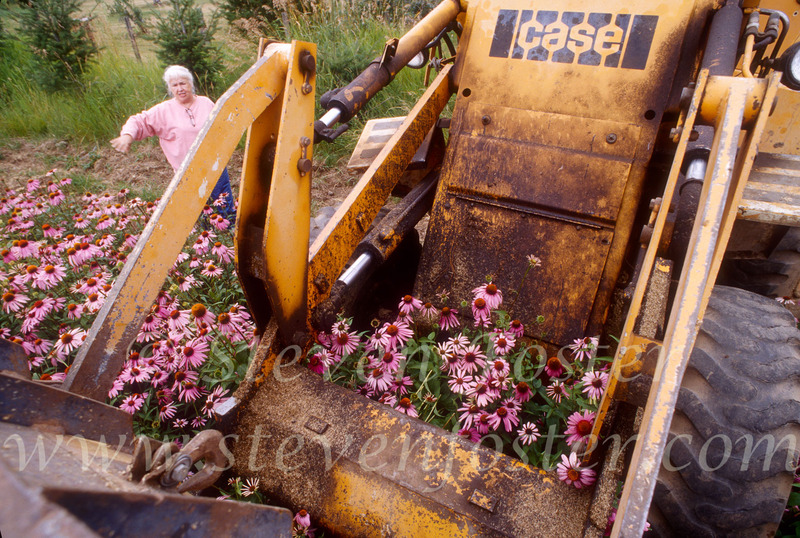 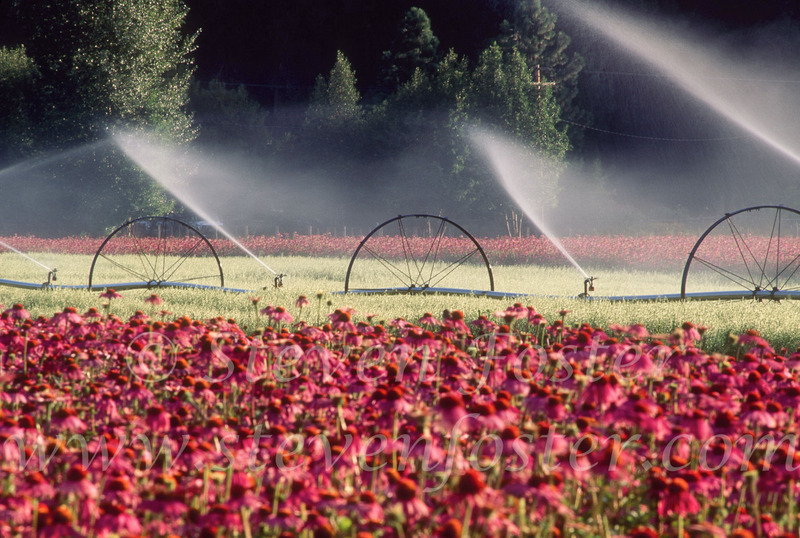 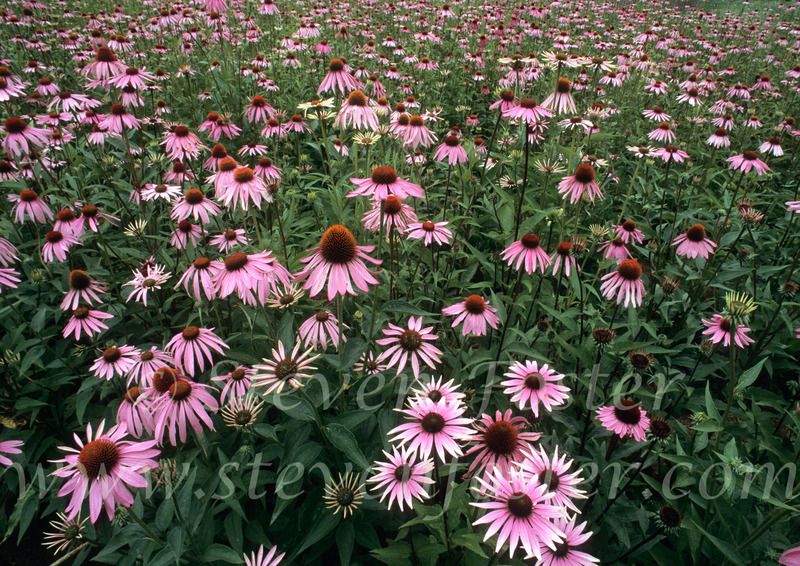 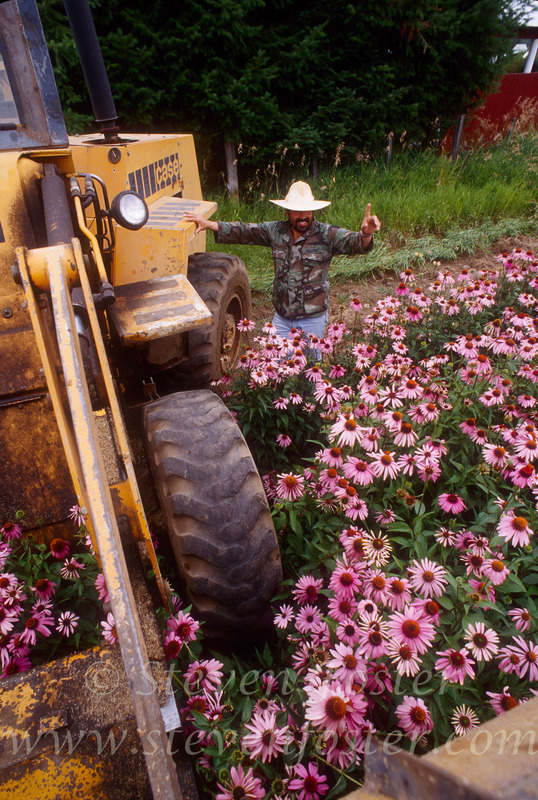 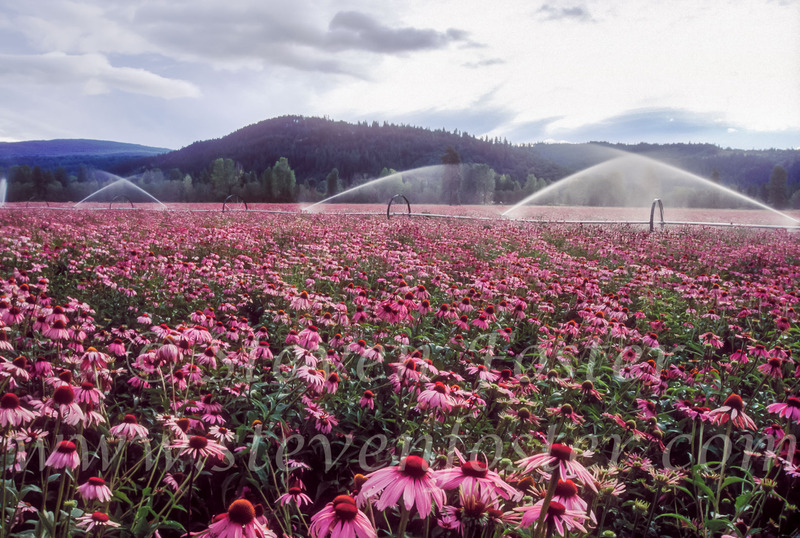 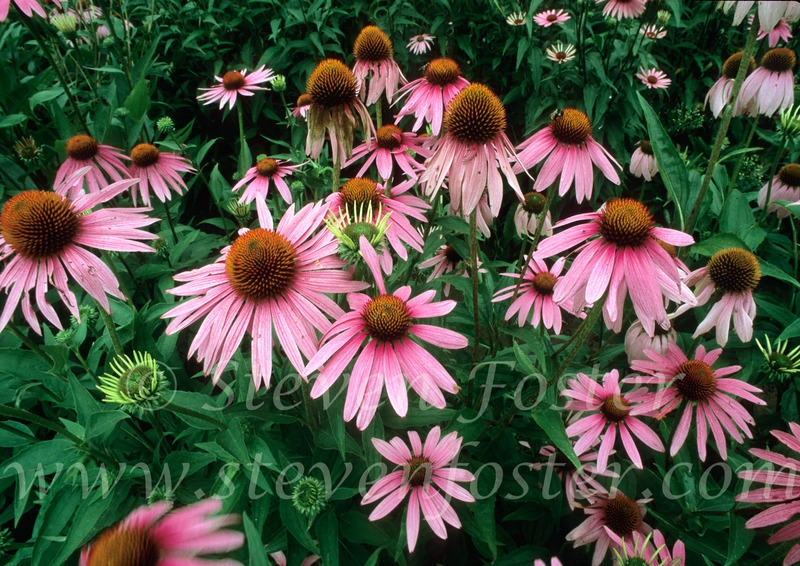 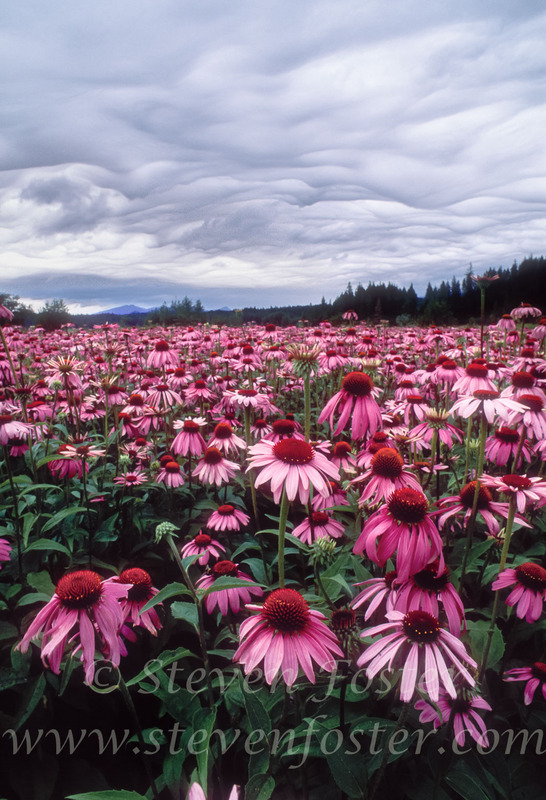 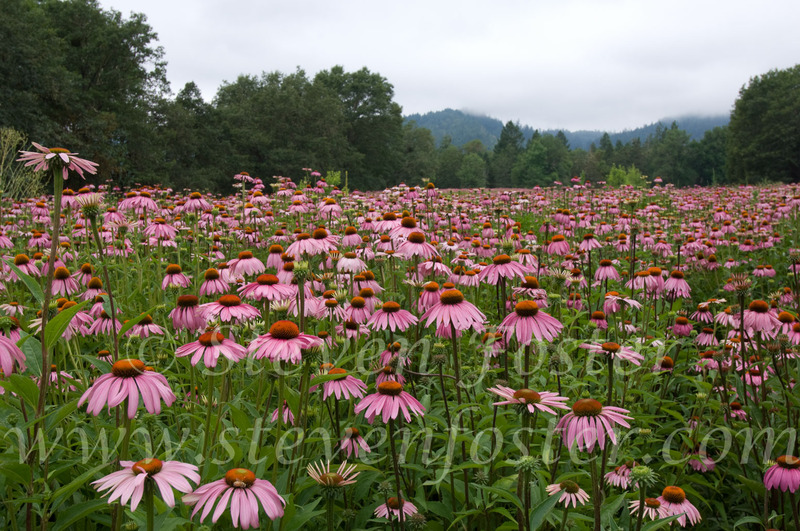 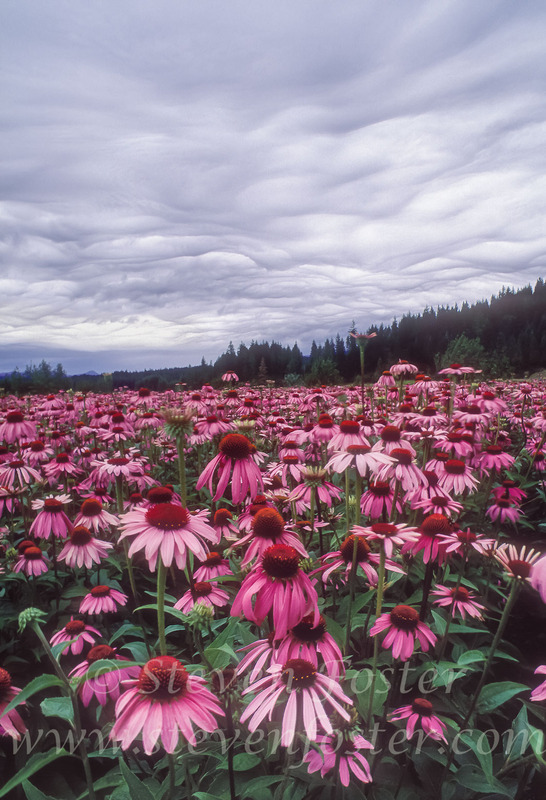 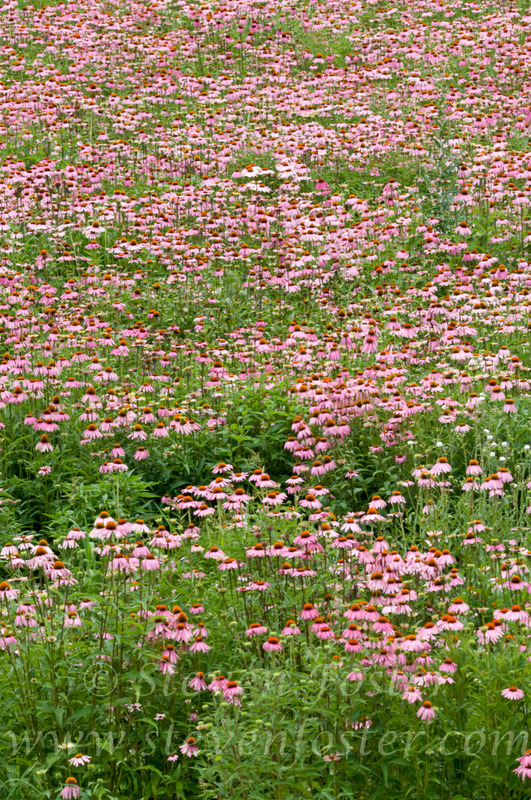 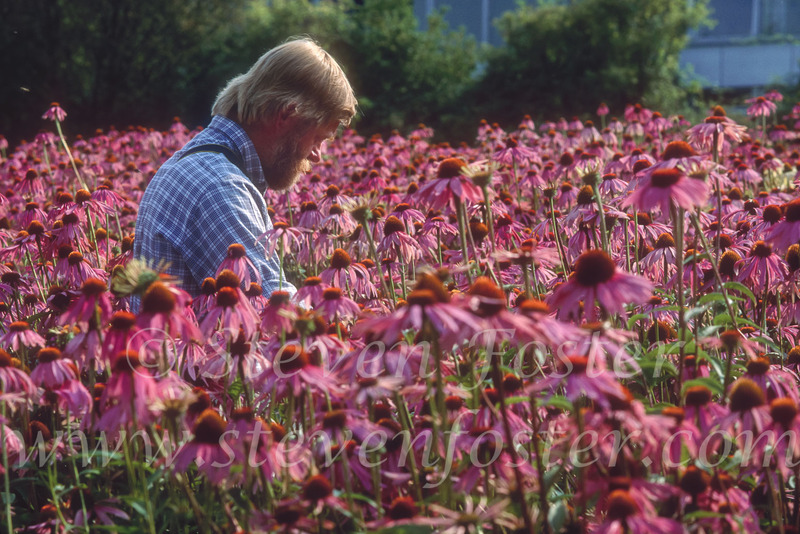 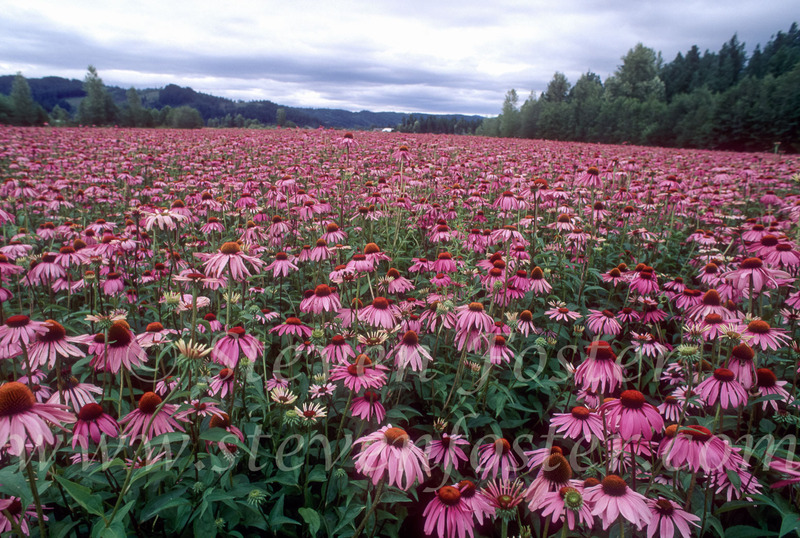 Echinacea purpurea, Echinacea commercial cultivation and farming. 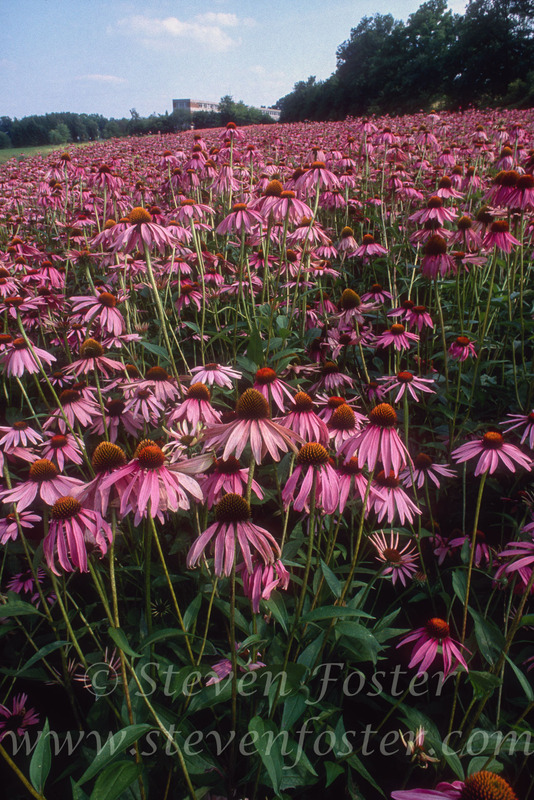 Developed as a medicinal plant product in the late 1930s in Germany, it is a nonspecific immune system stimulant used for wounds, infections; preventative for influenza, colds. 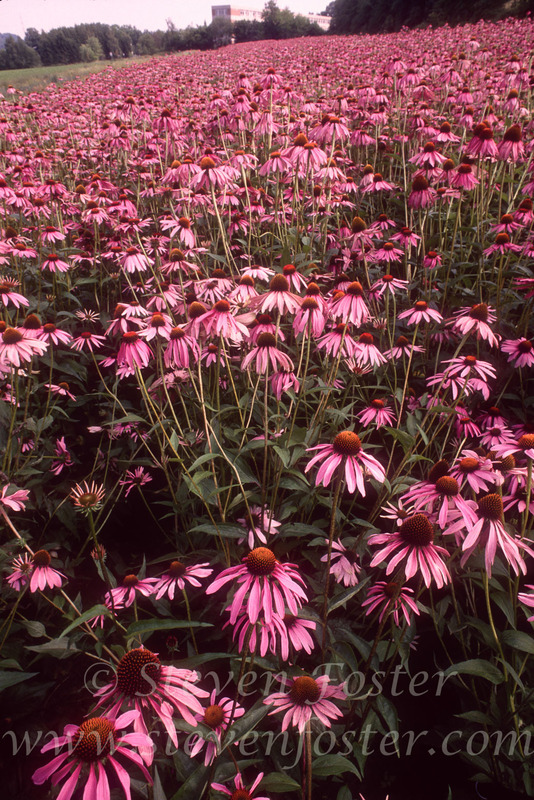 Native to open woods and thickets in eastern North America to the Midwest. 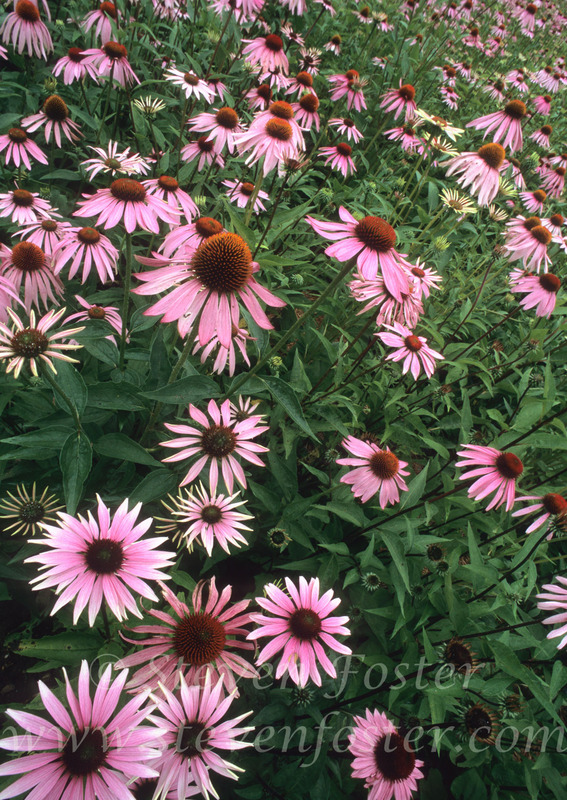 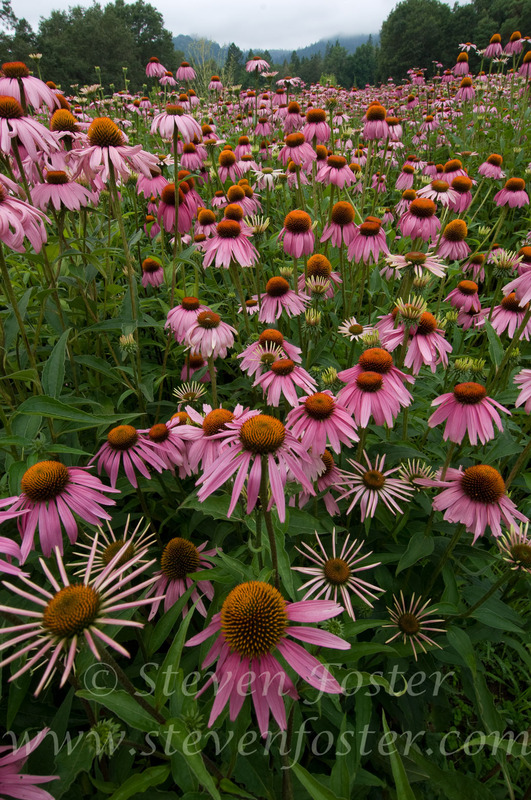 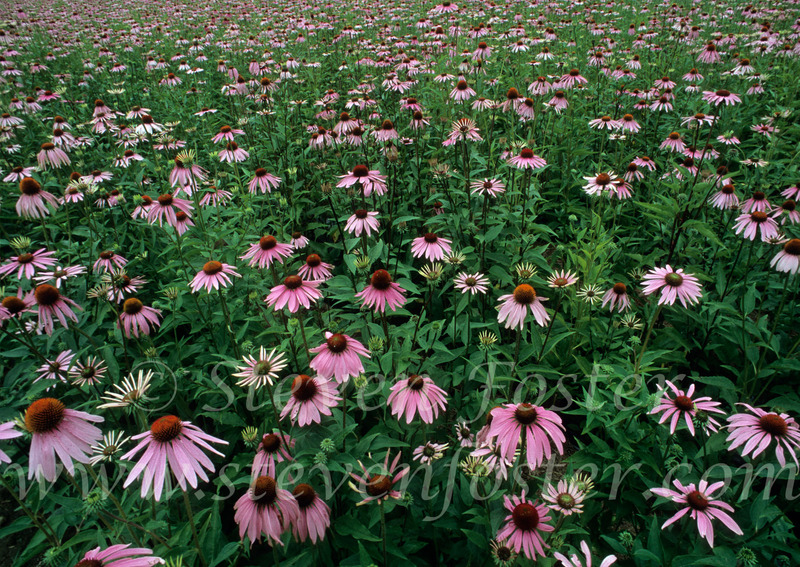 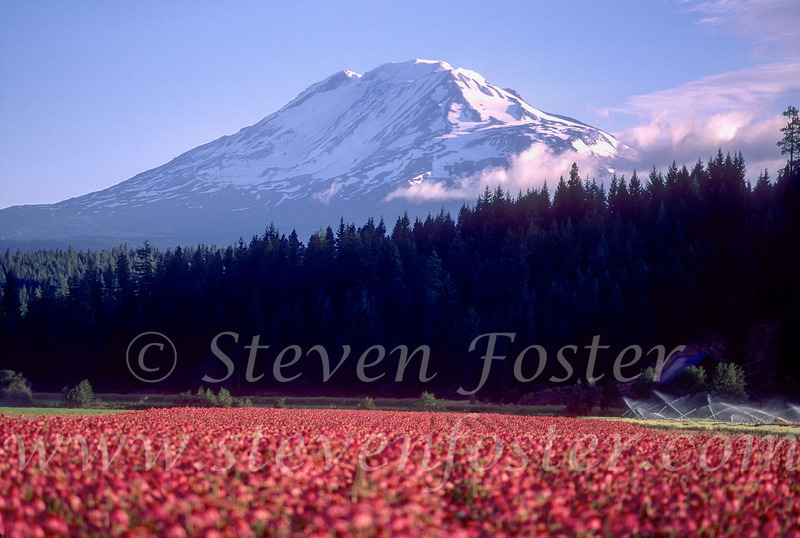 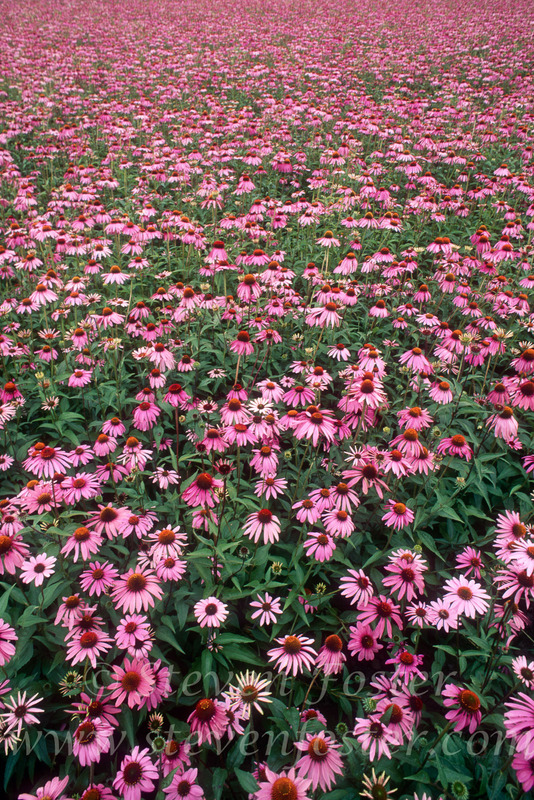 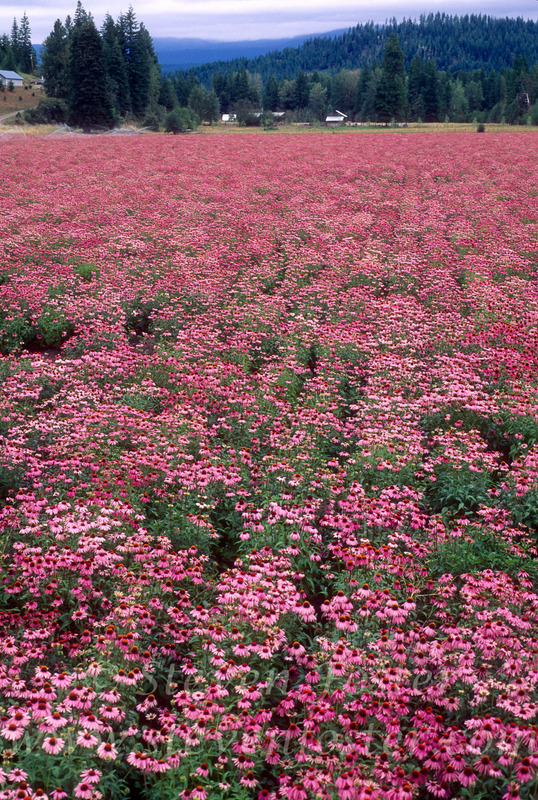 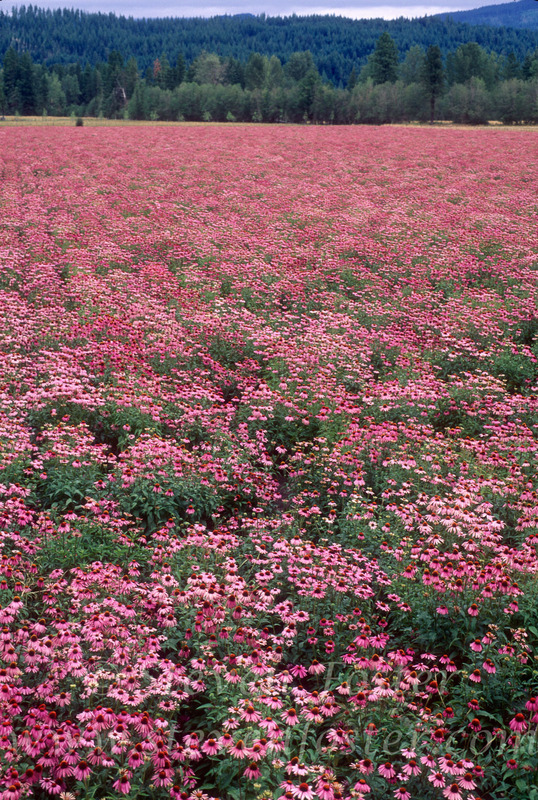 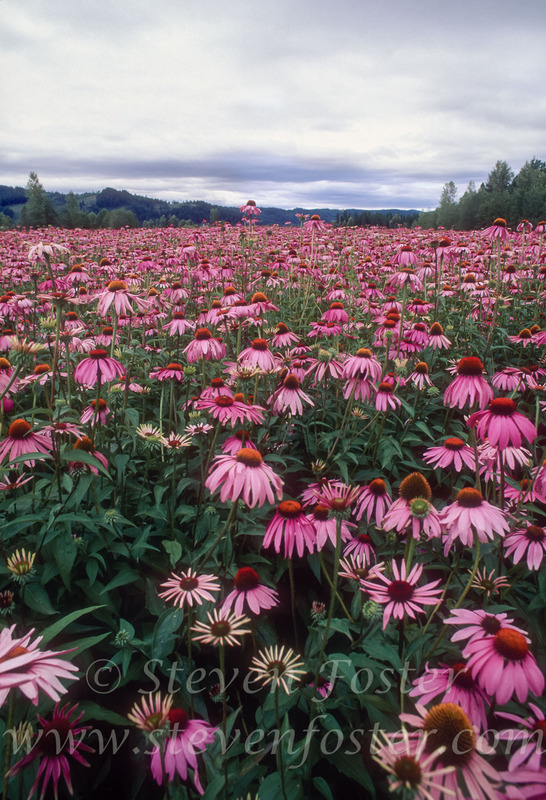 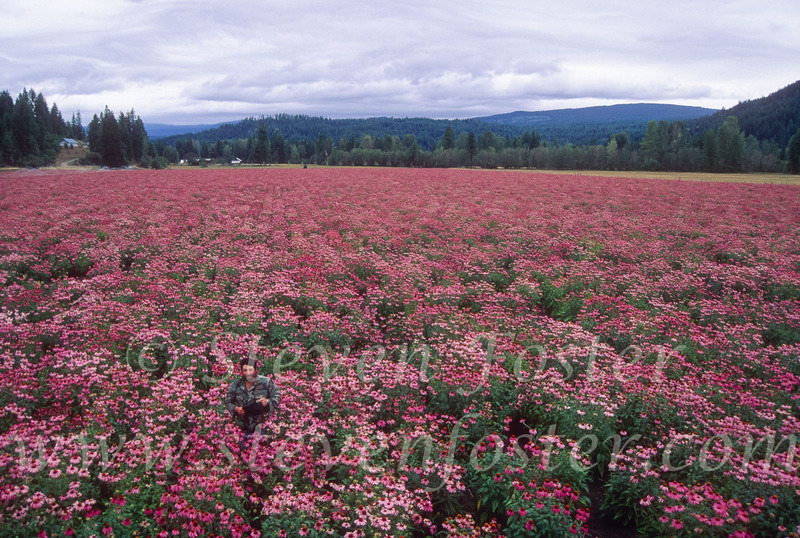 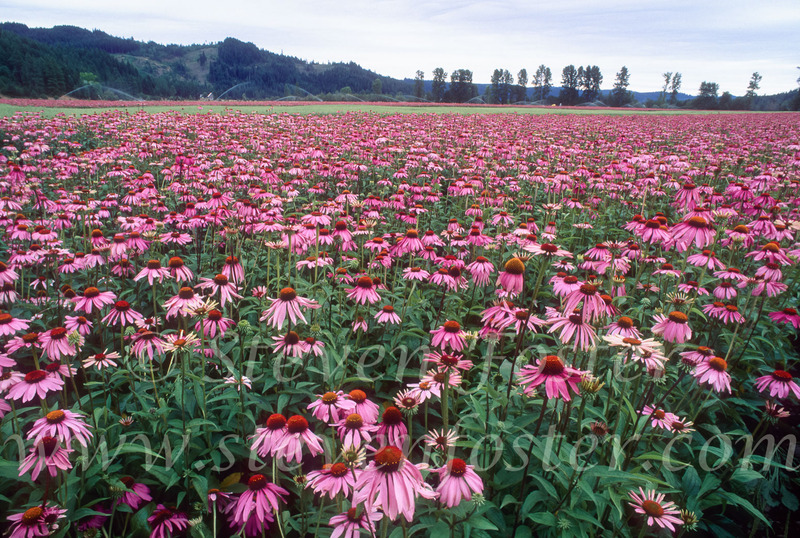 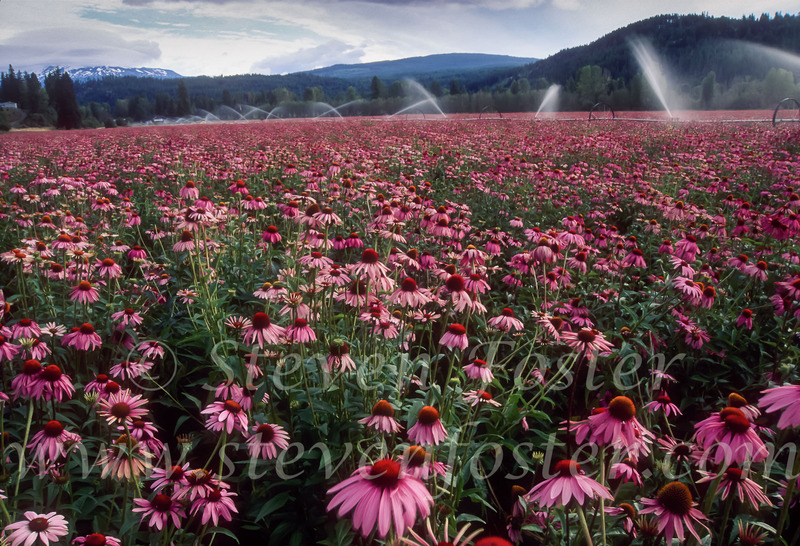 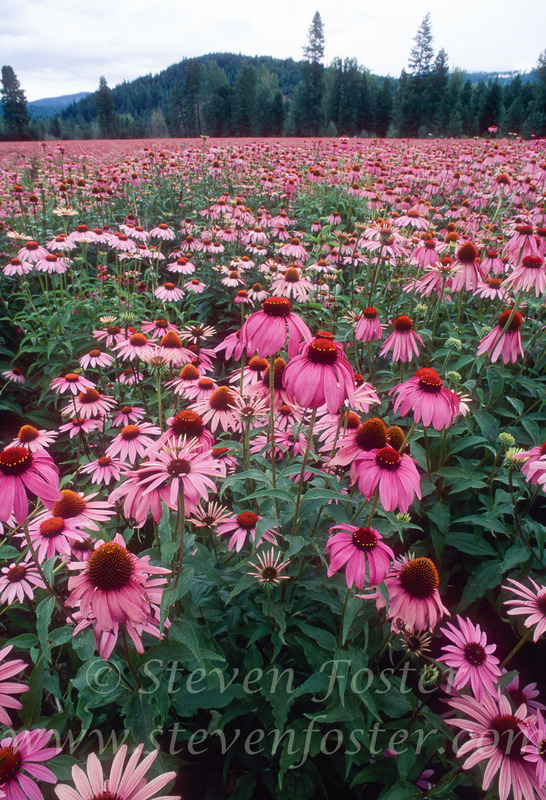 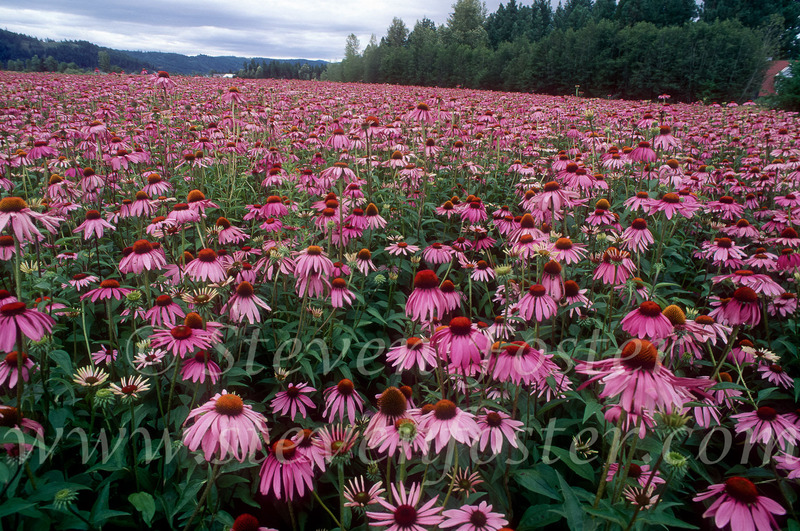 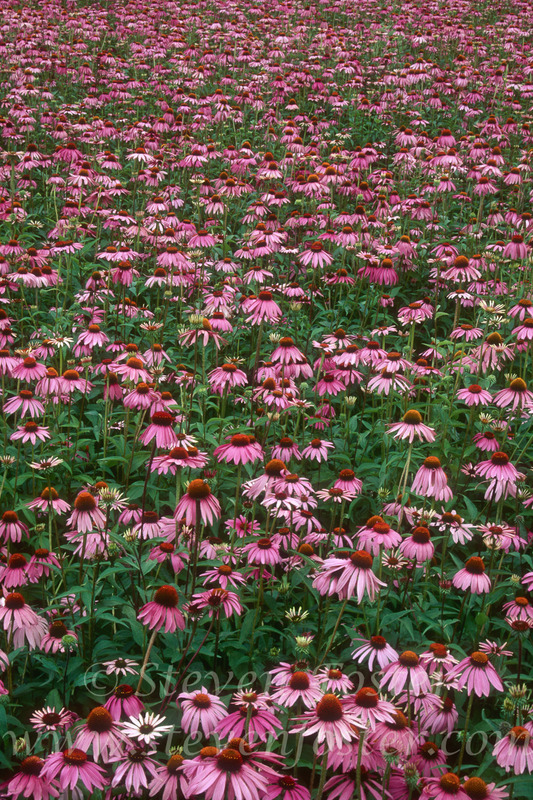 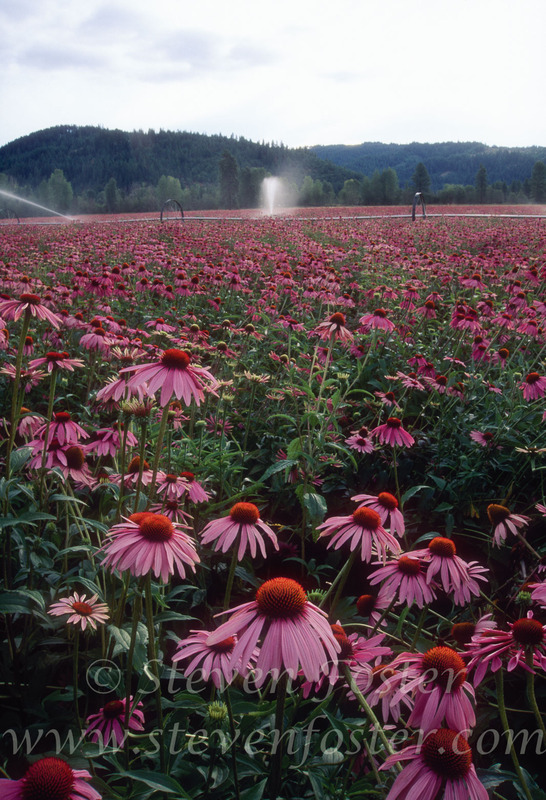 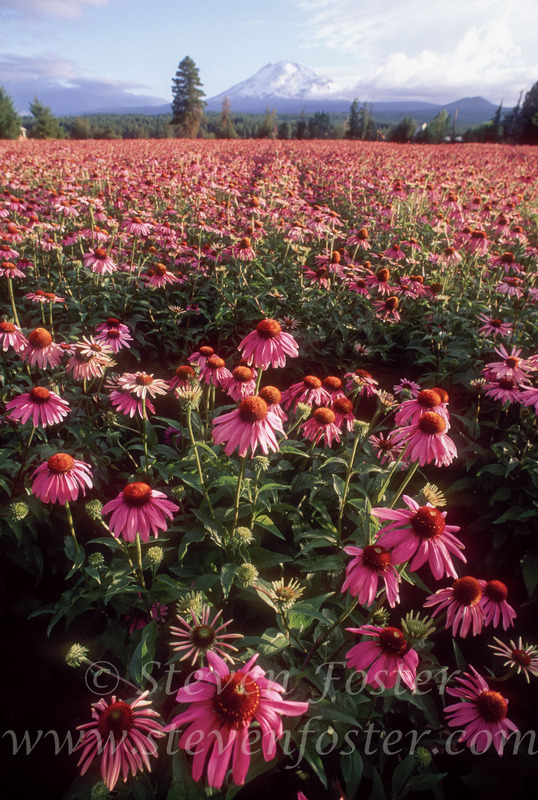 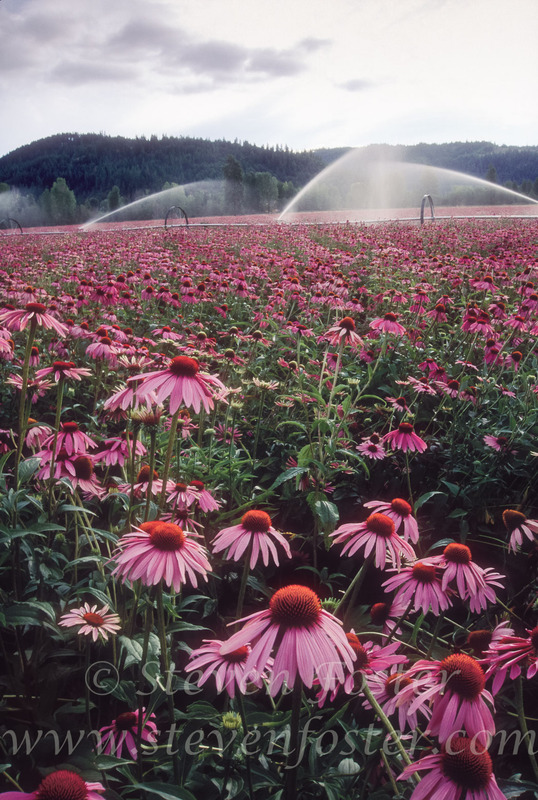 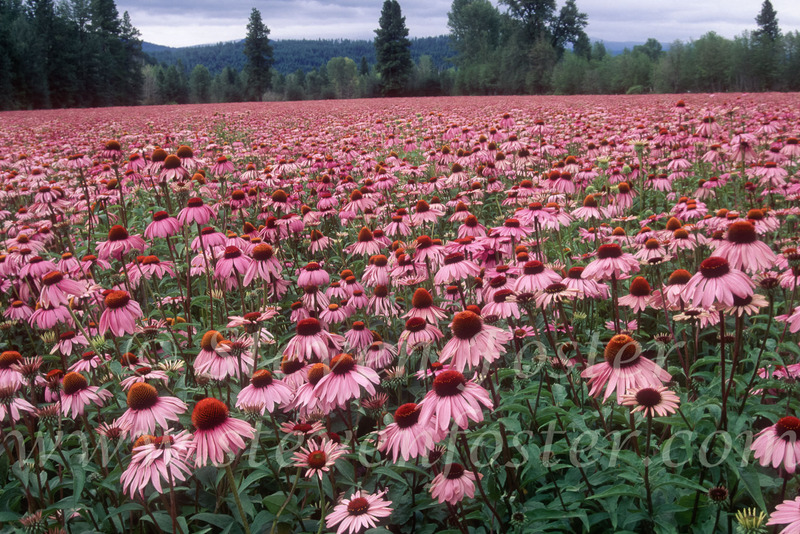 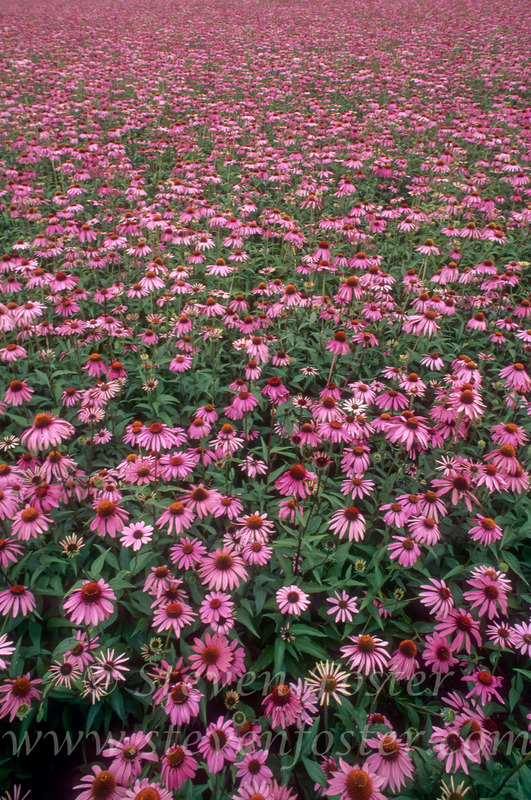 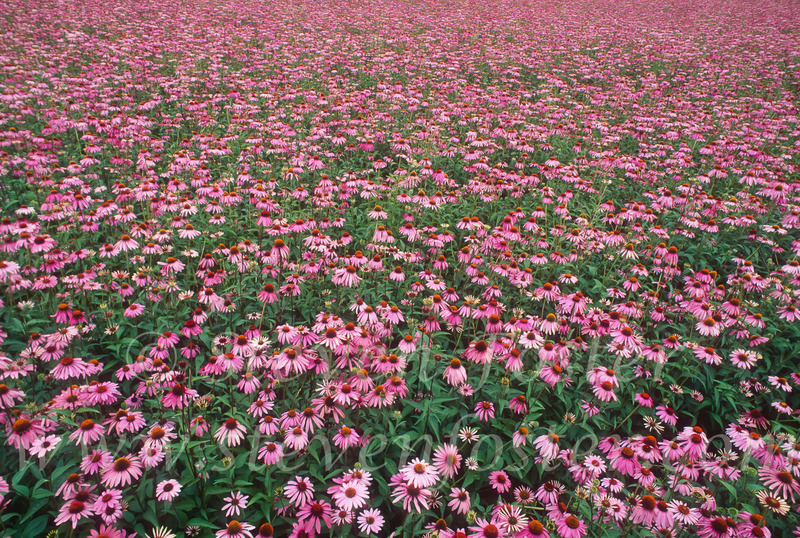 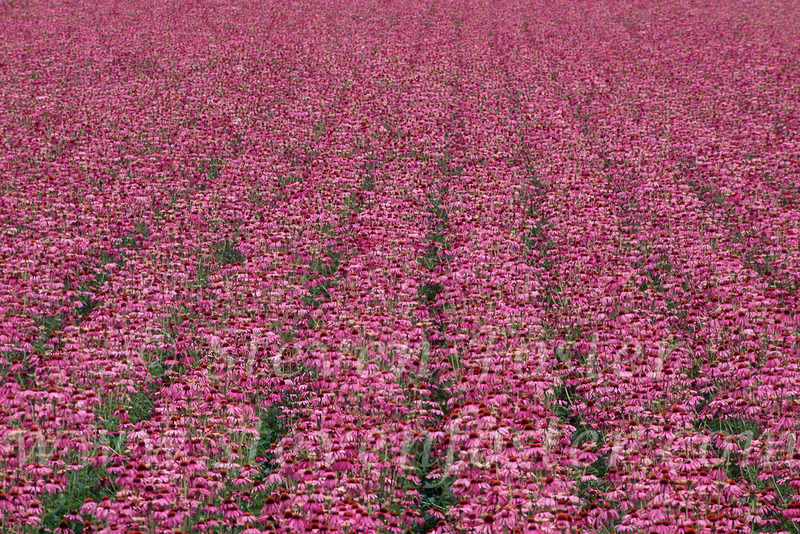 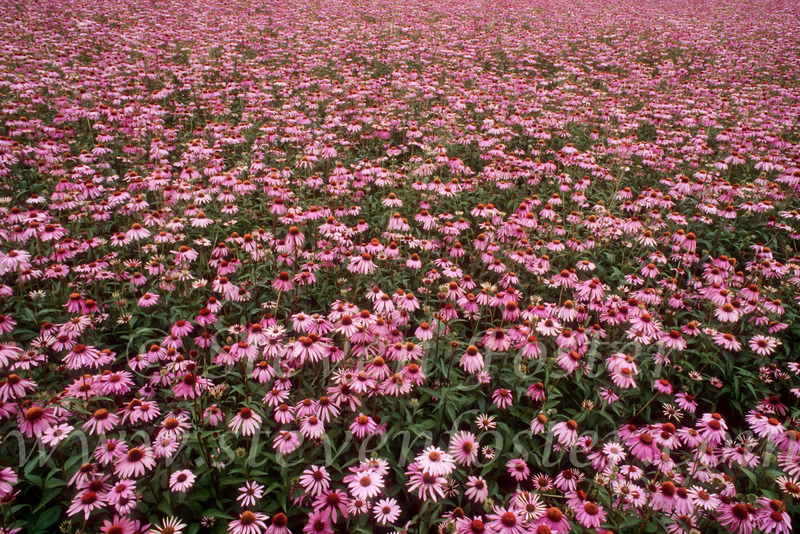 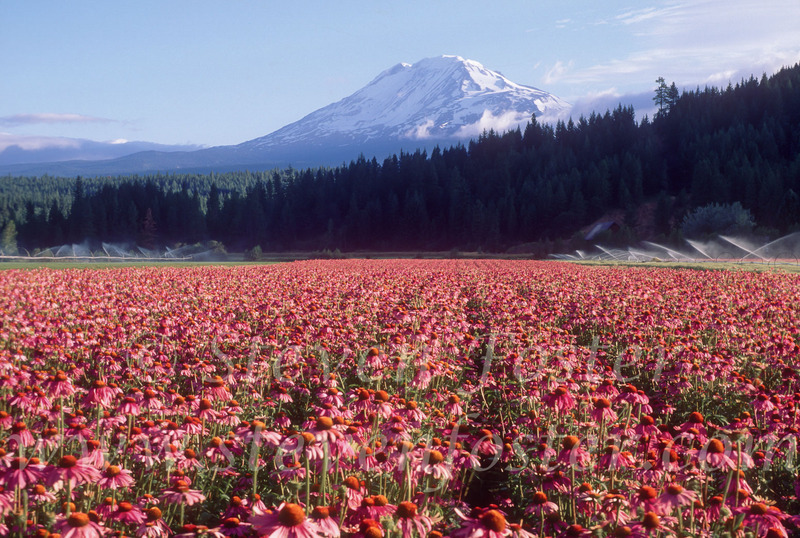 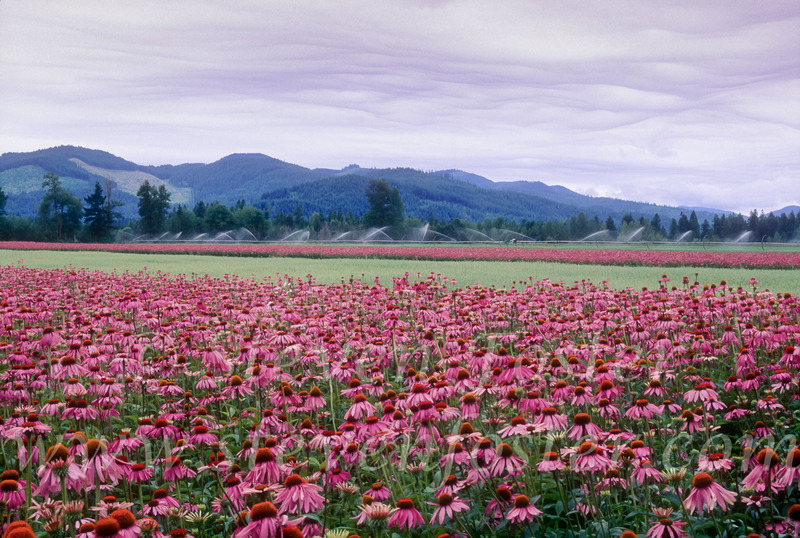 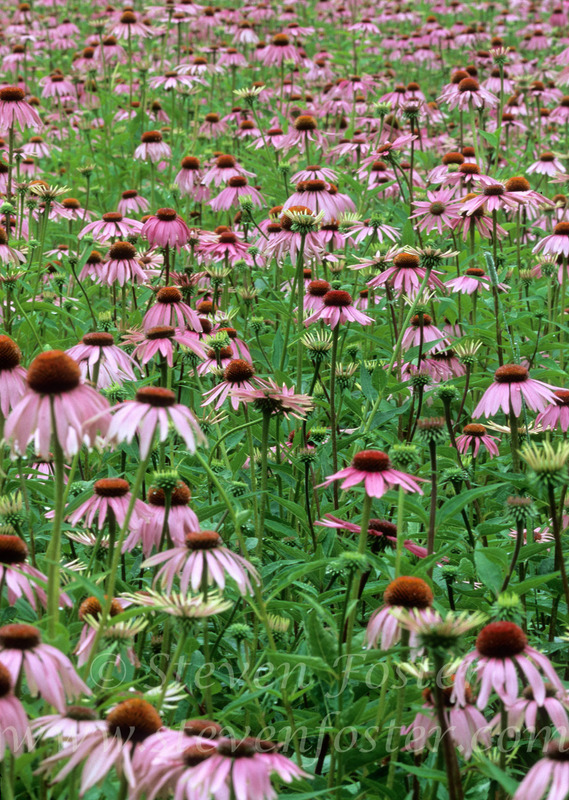 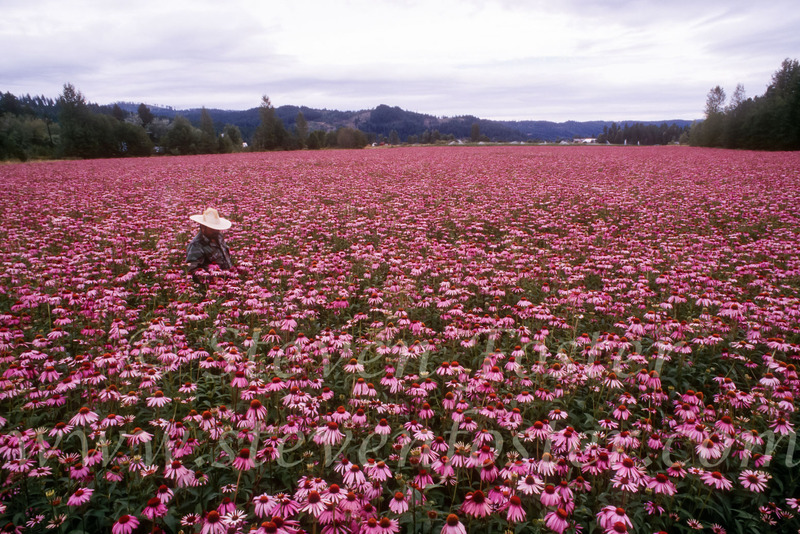 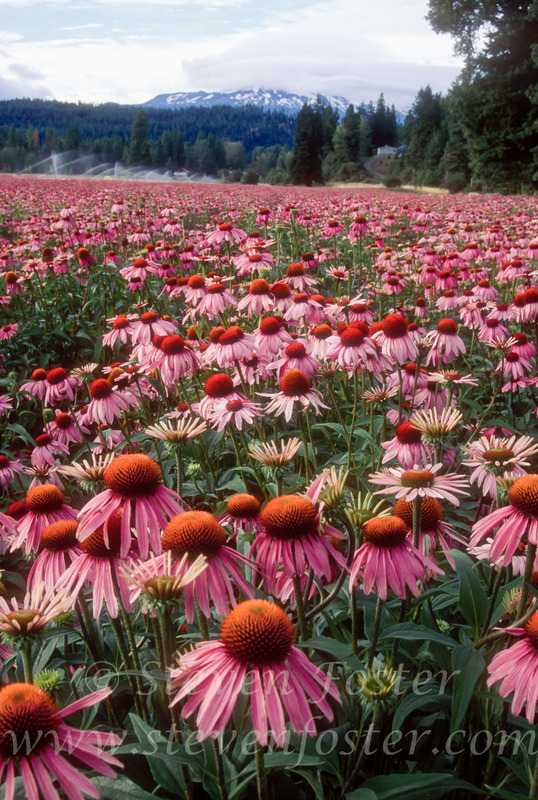 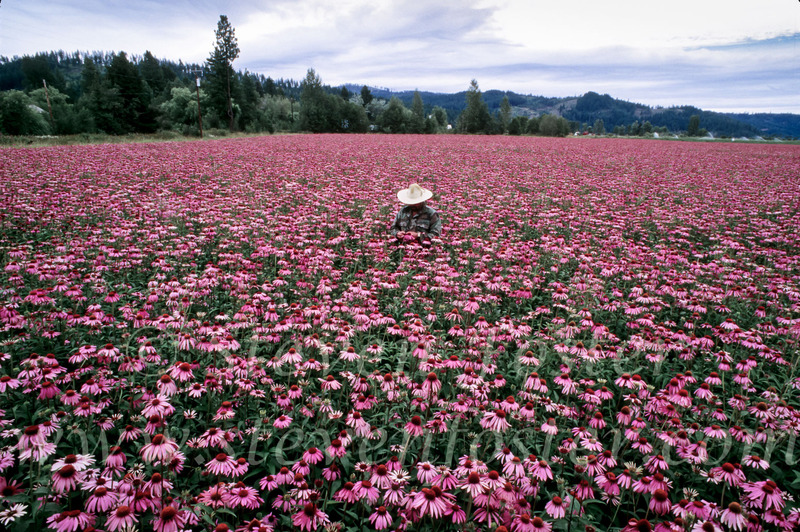 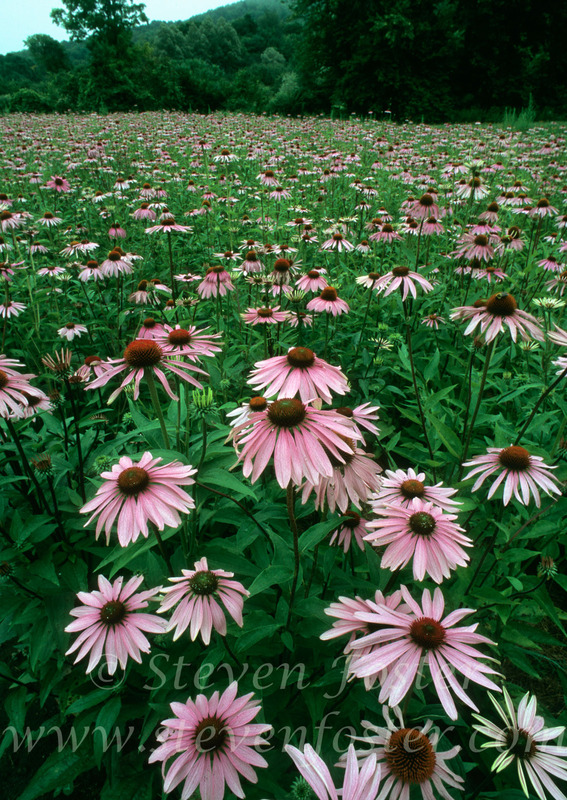 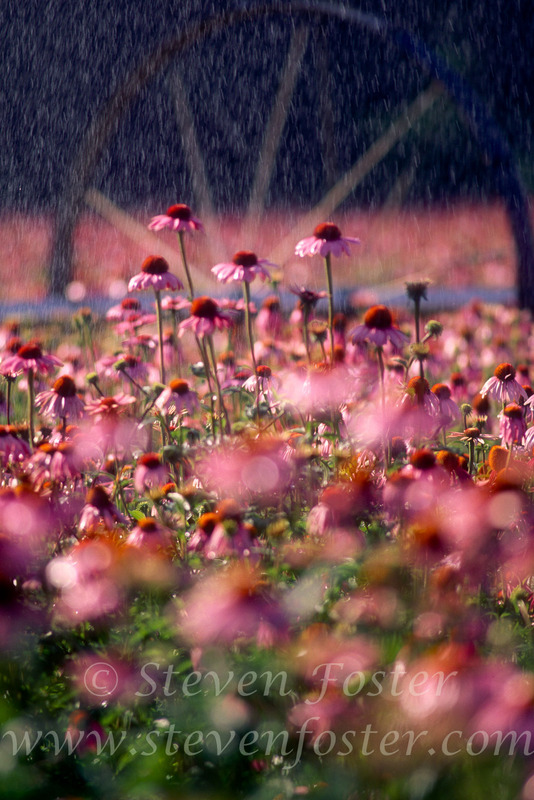 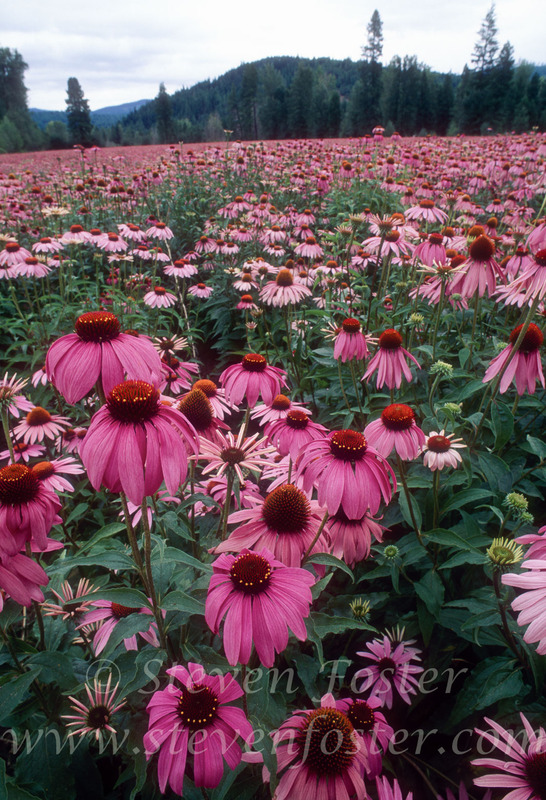 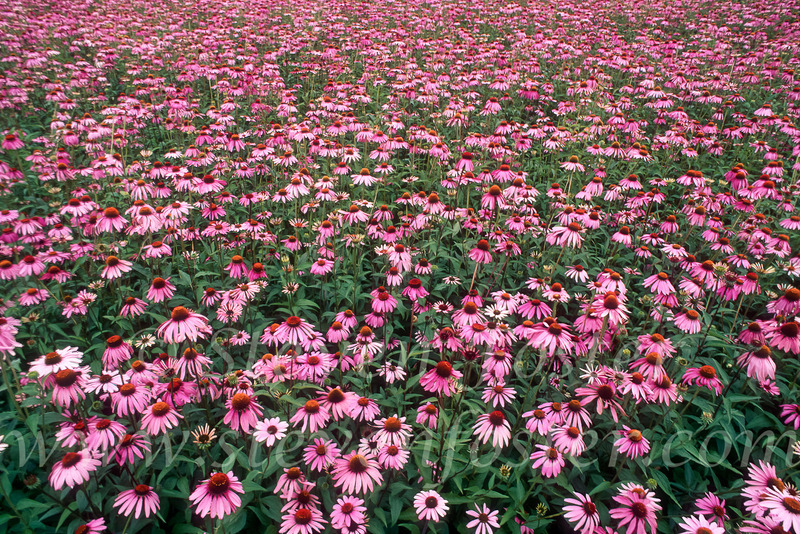 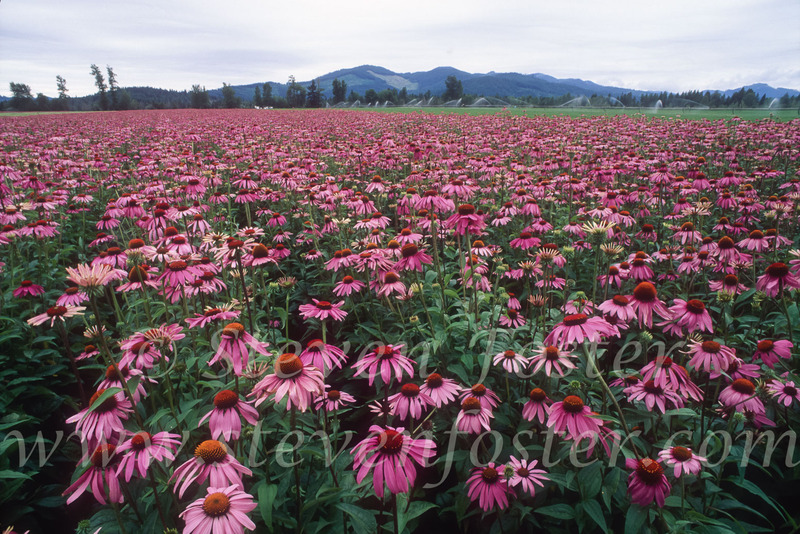 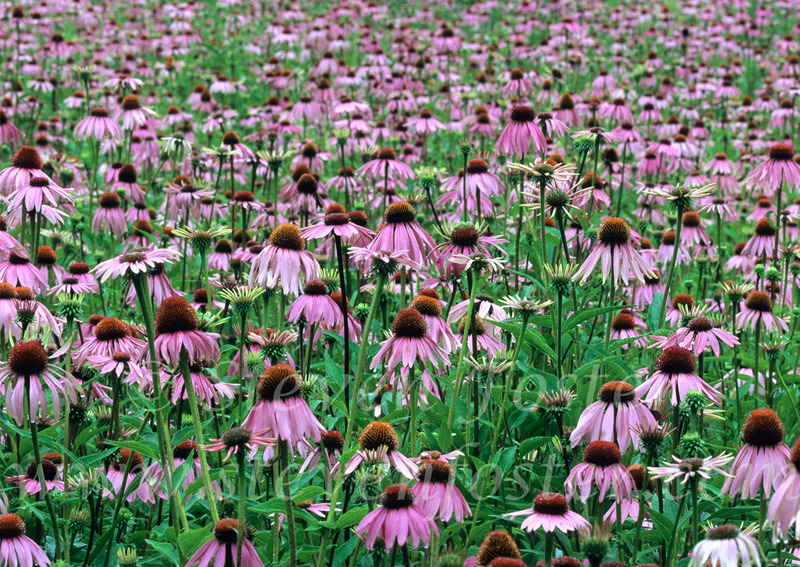 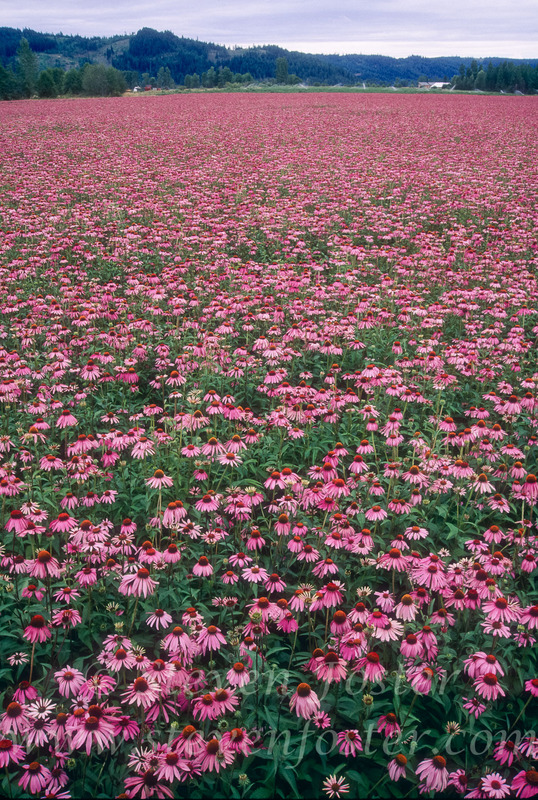 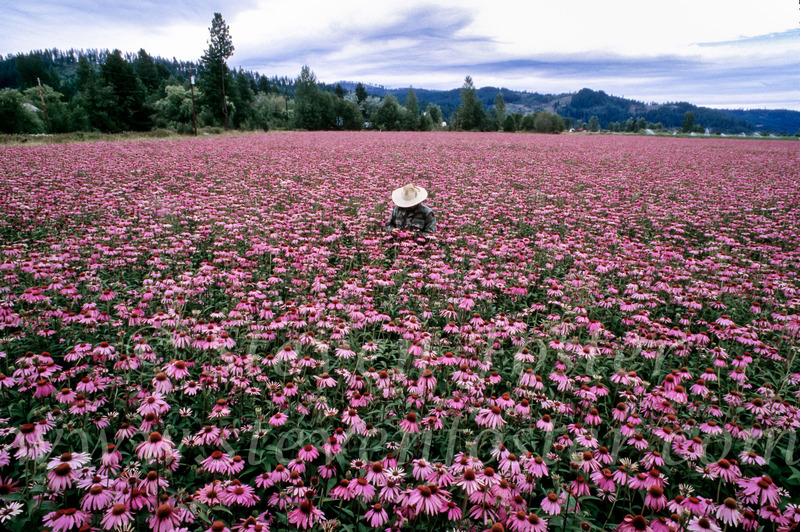 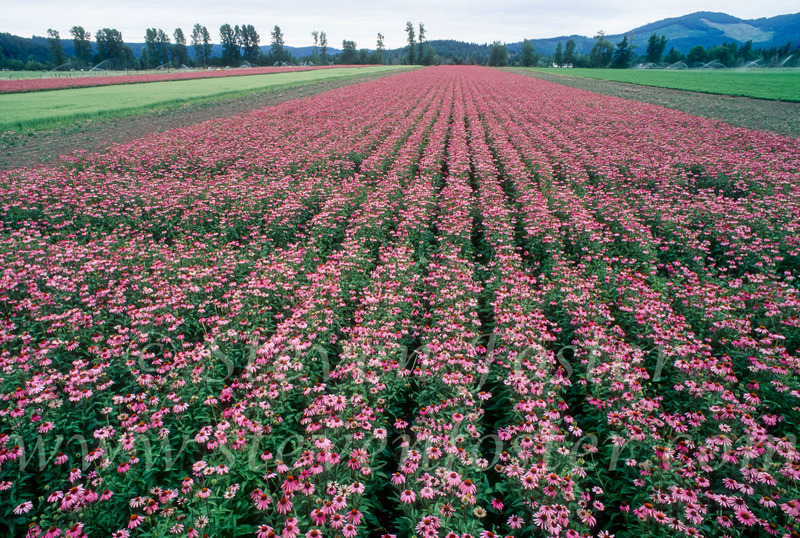 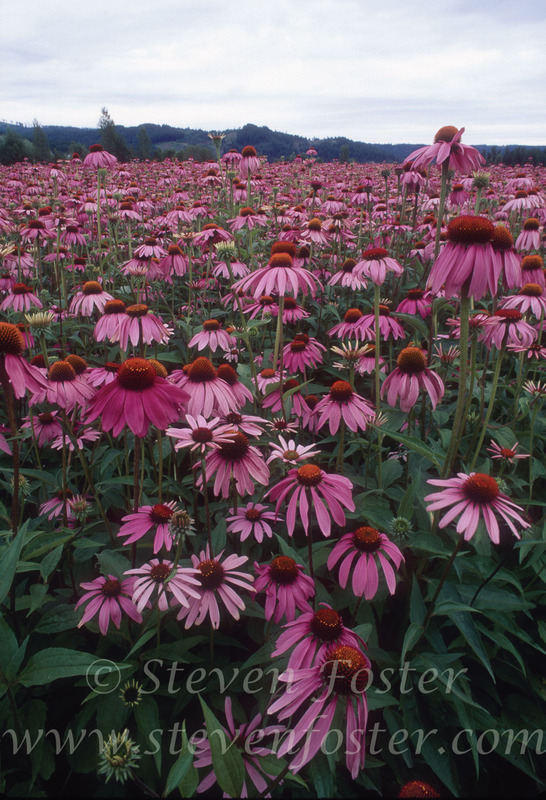 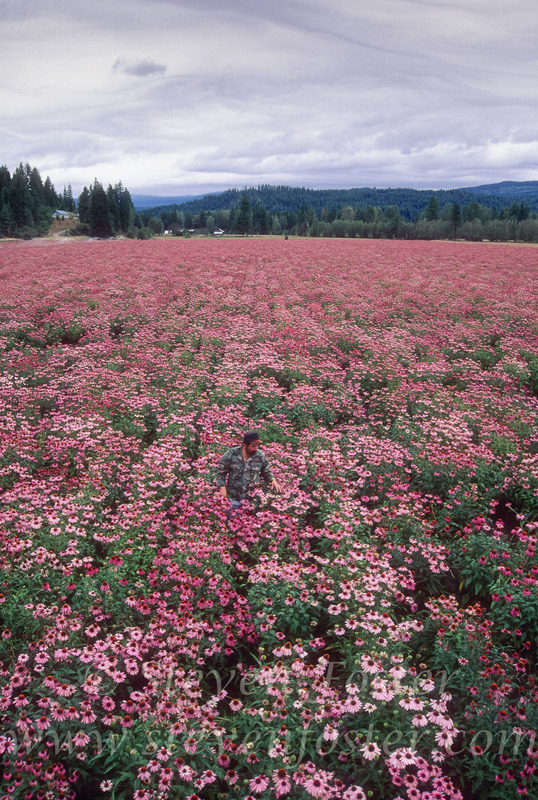 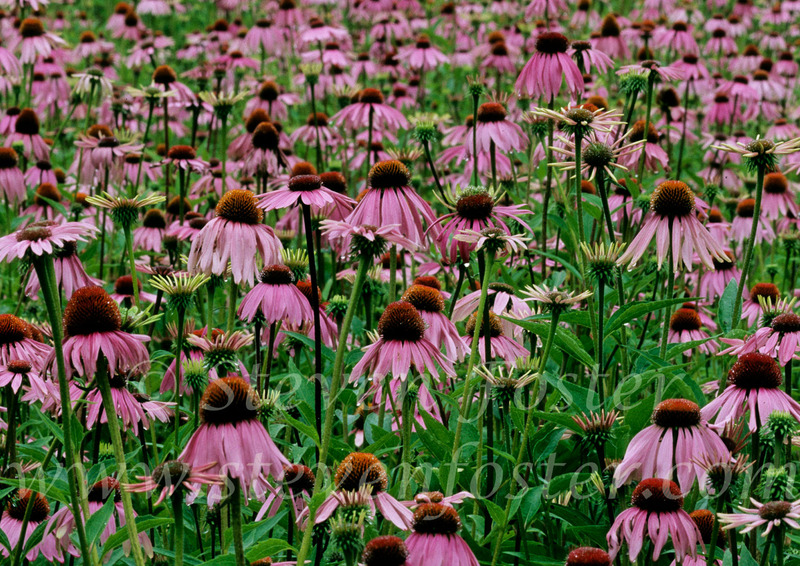 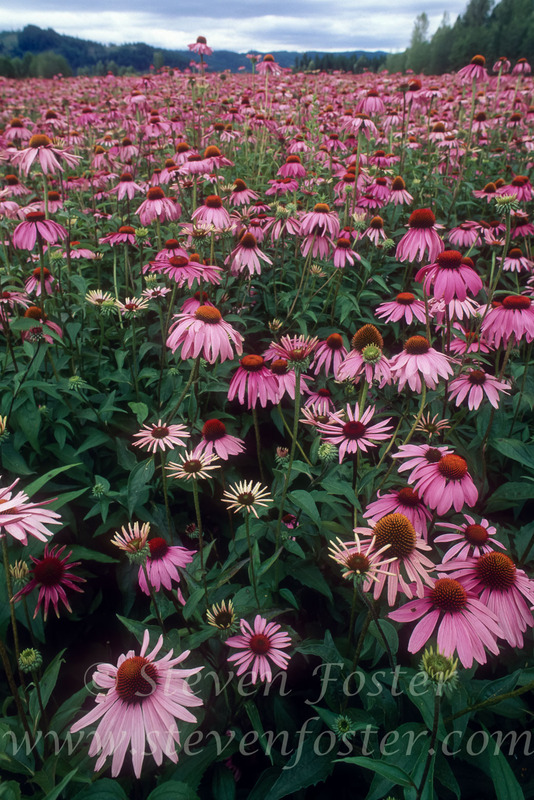 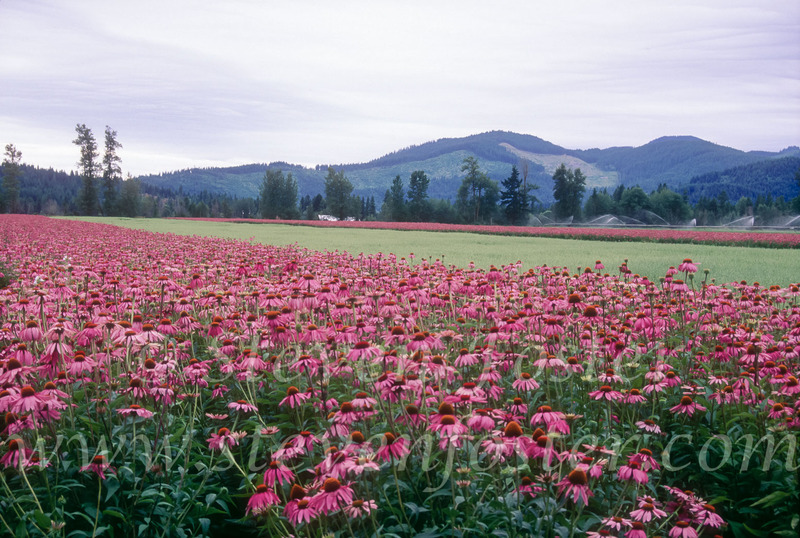 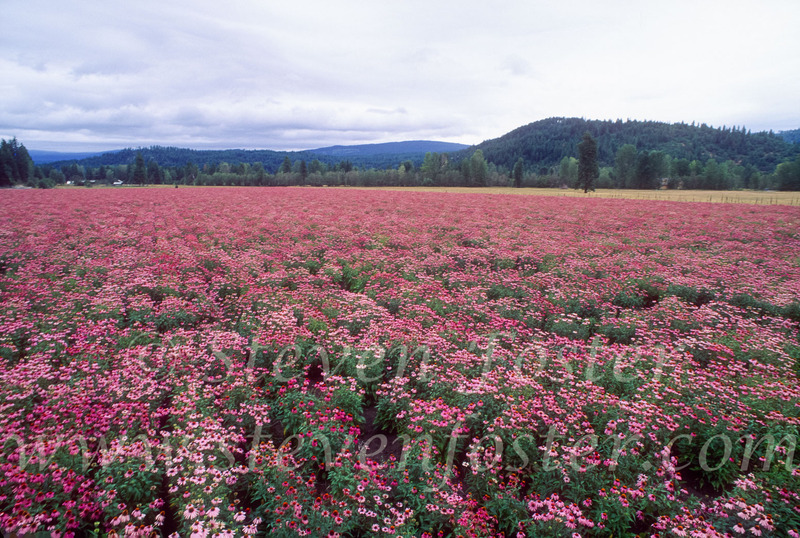 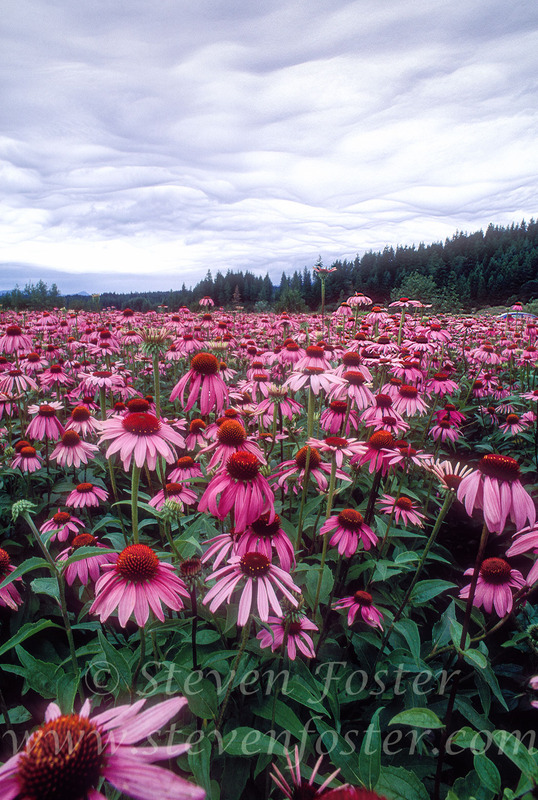 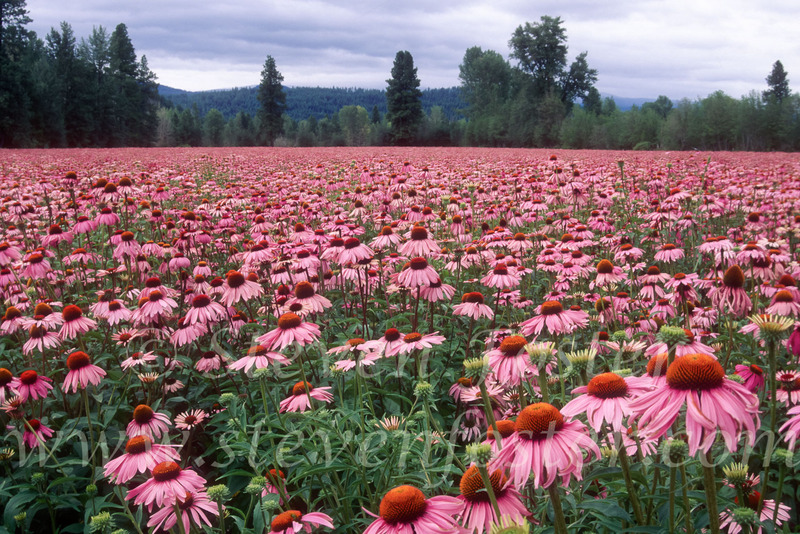 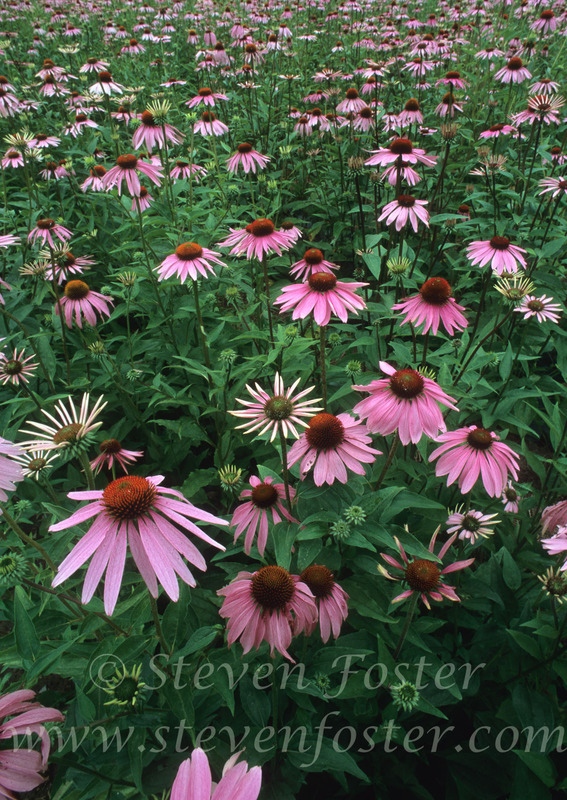 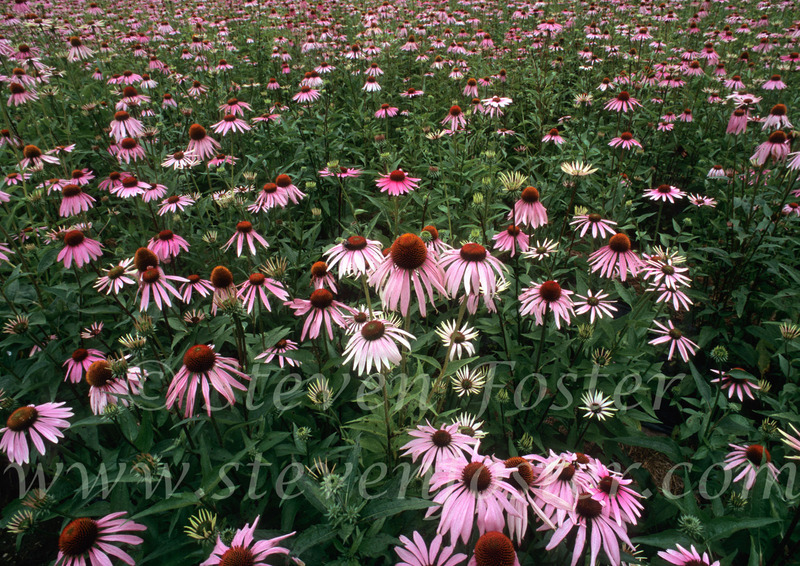 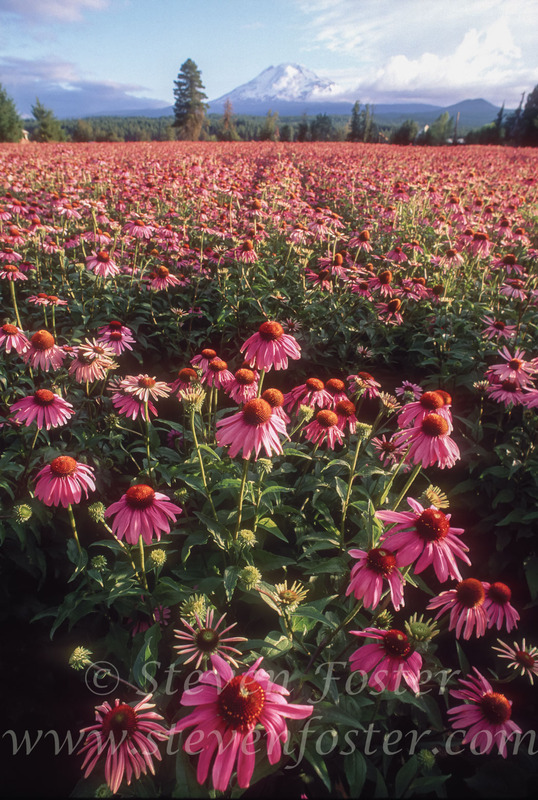 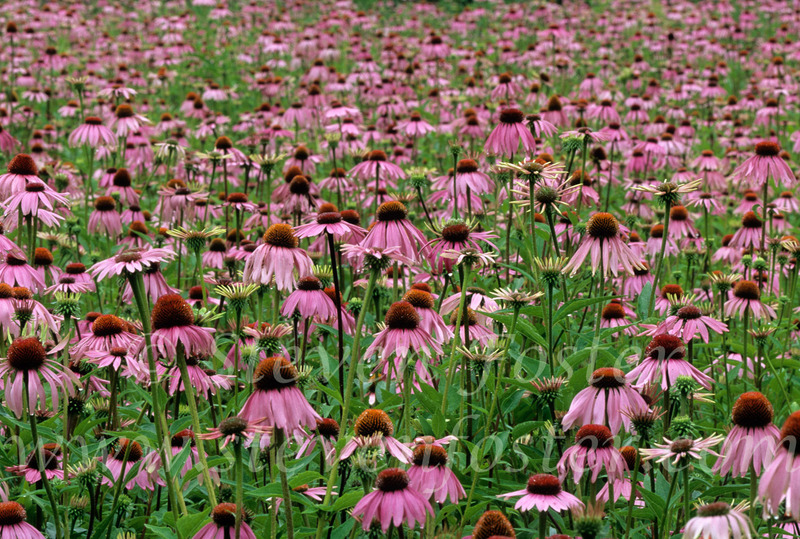 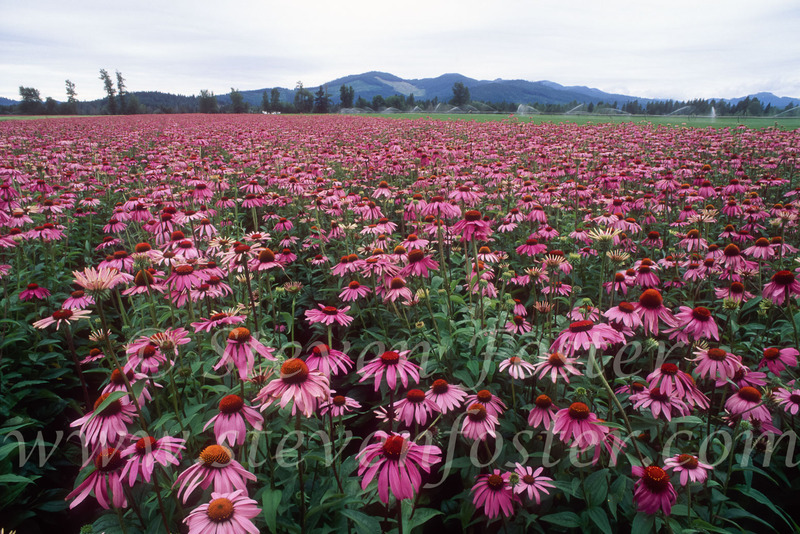 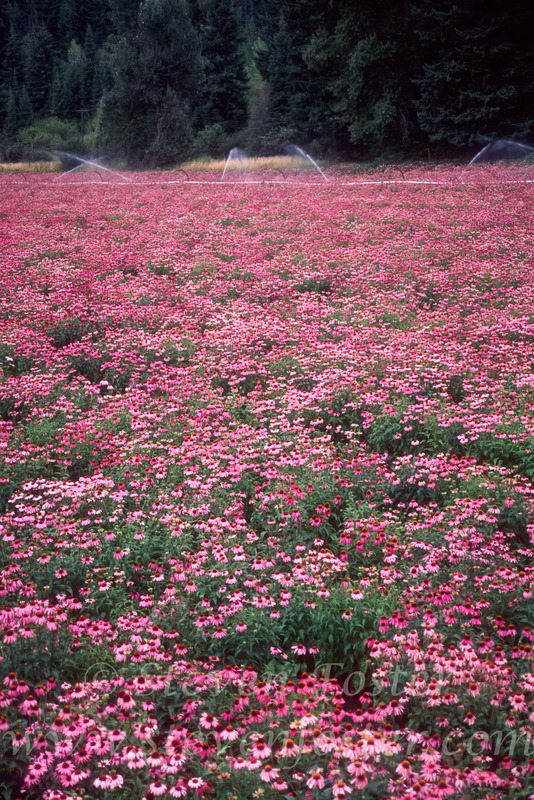 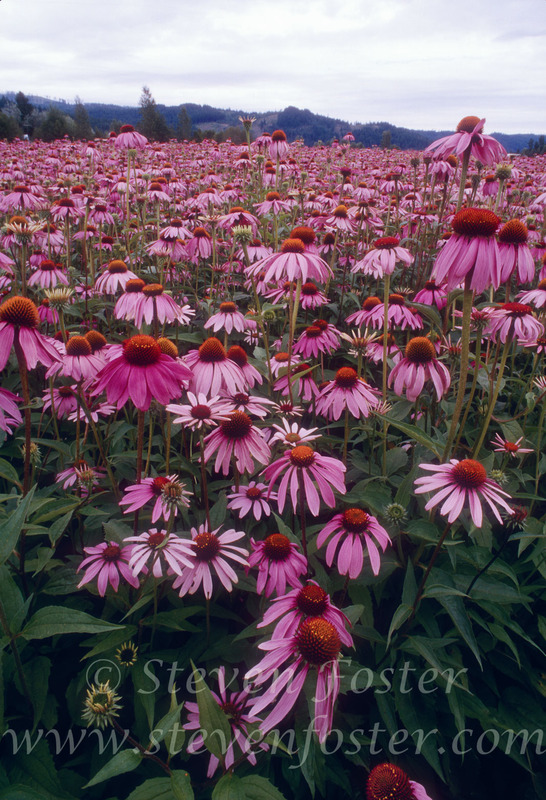 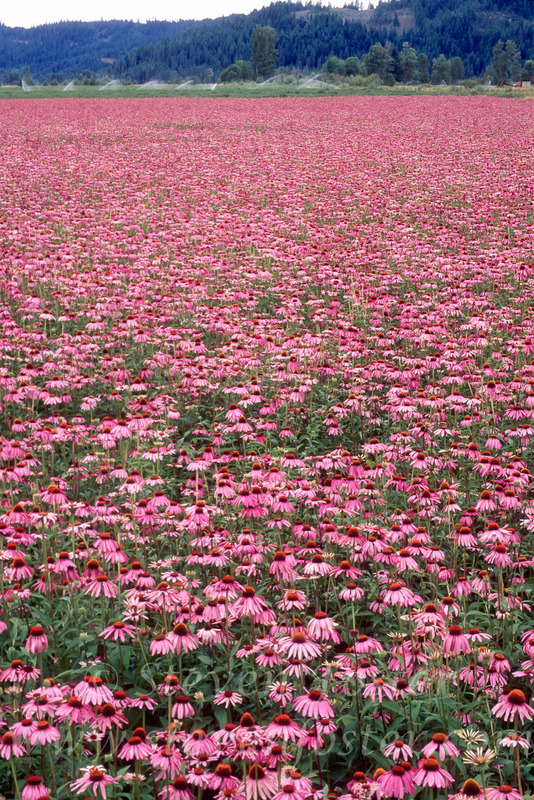 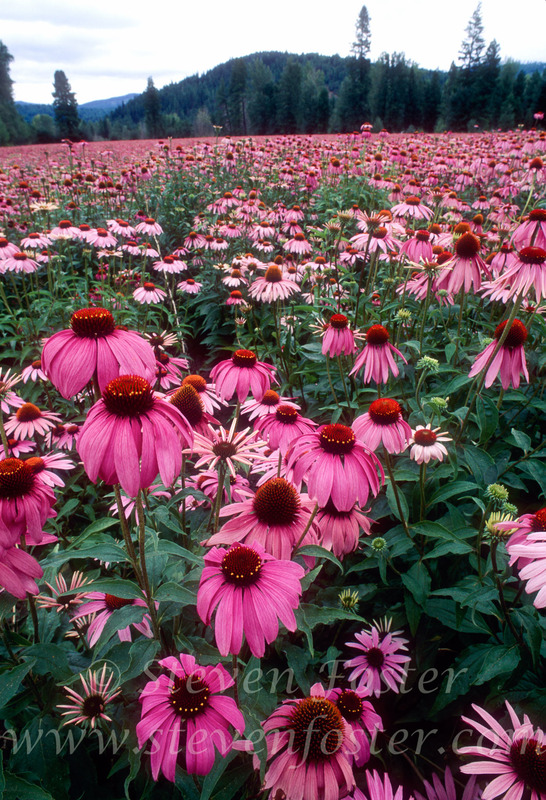 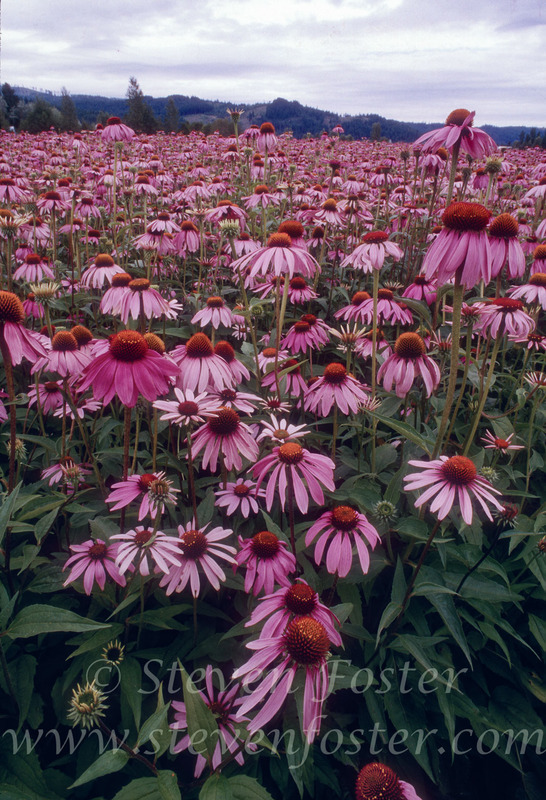 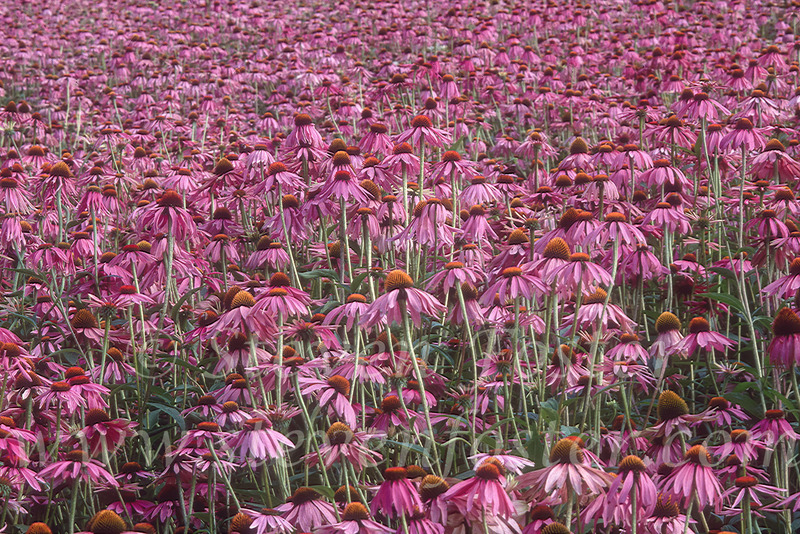 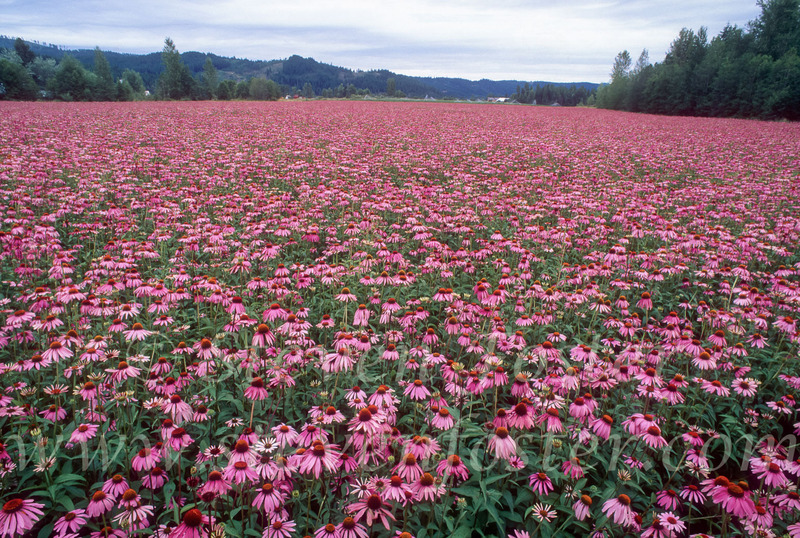 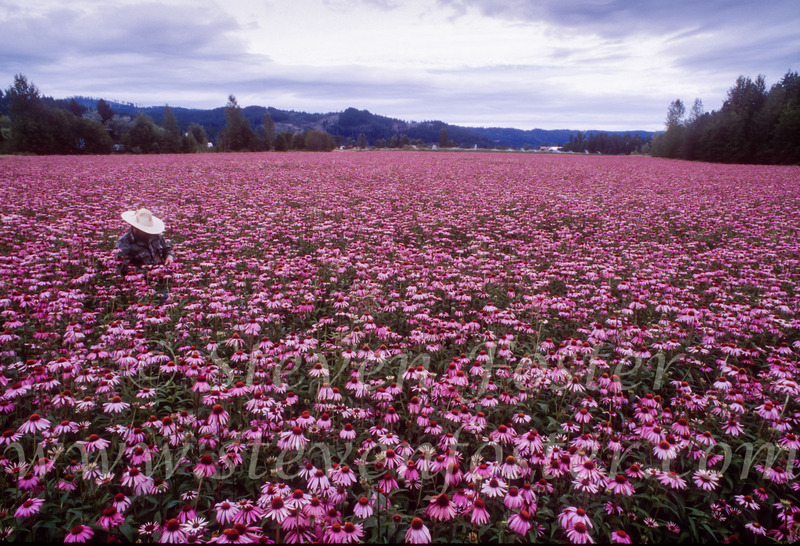 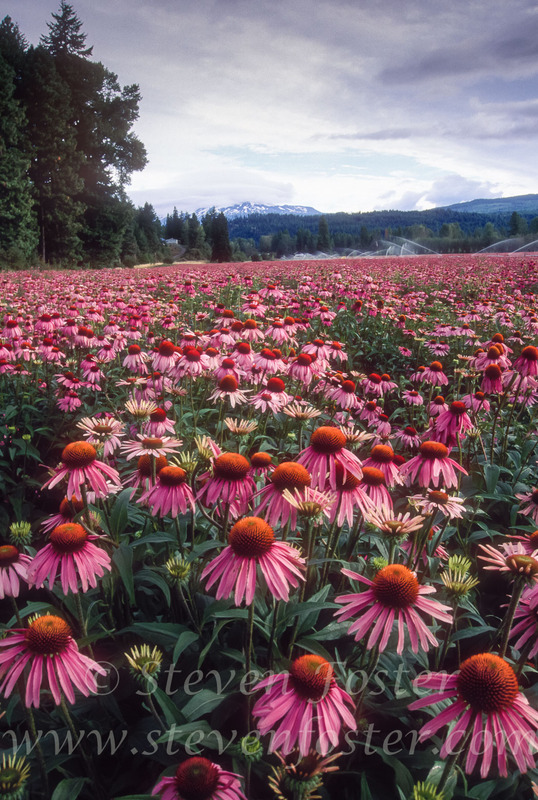 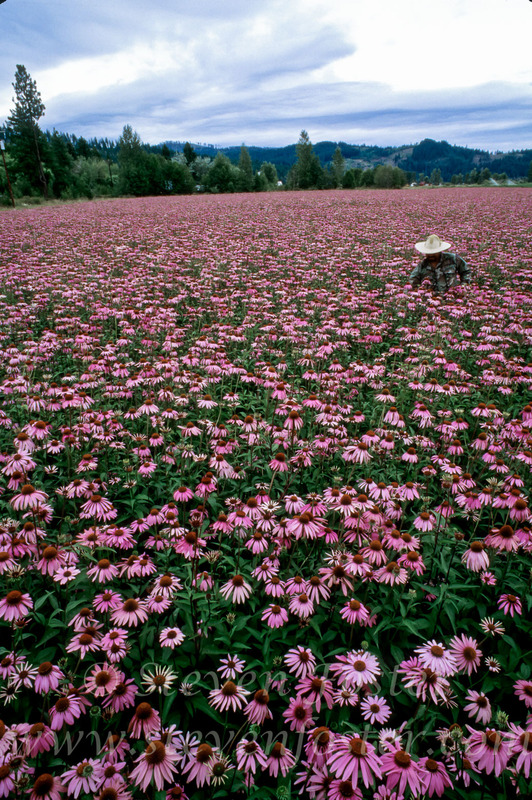 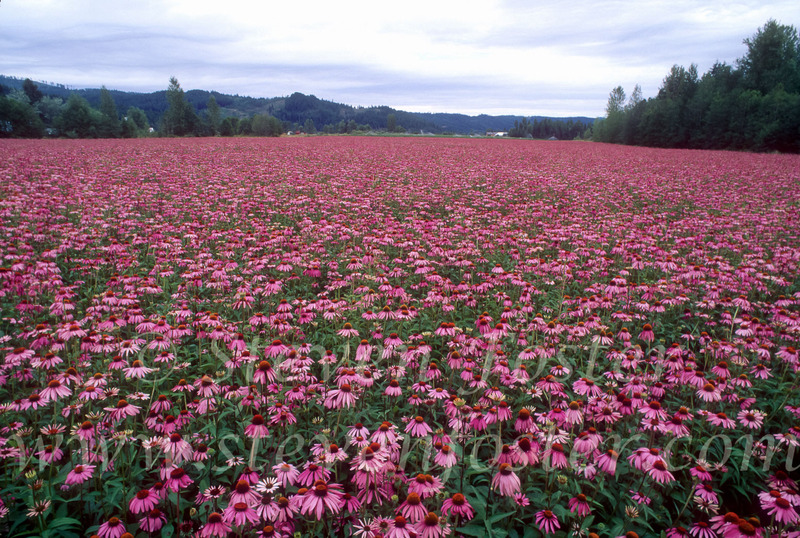 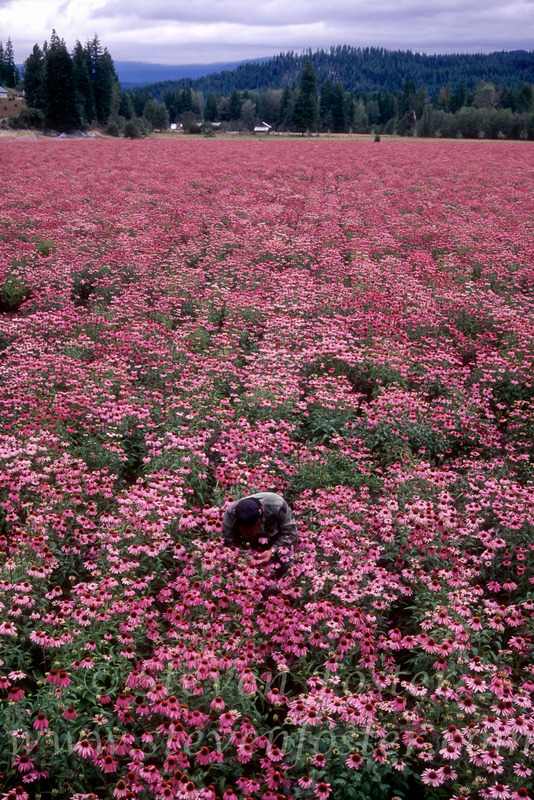 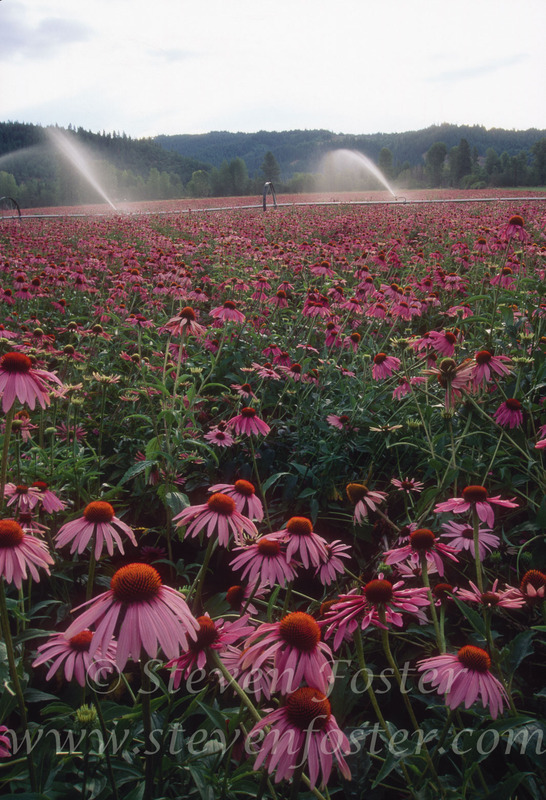 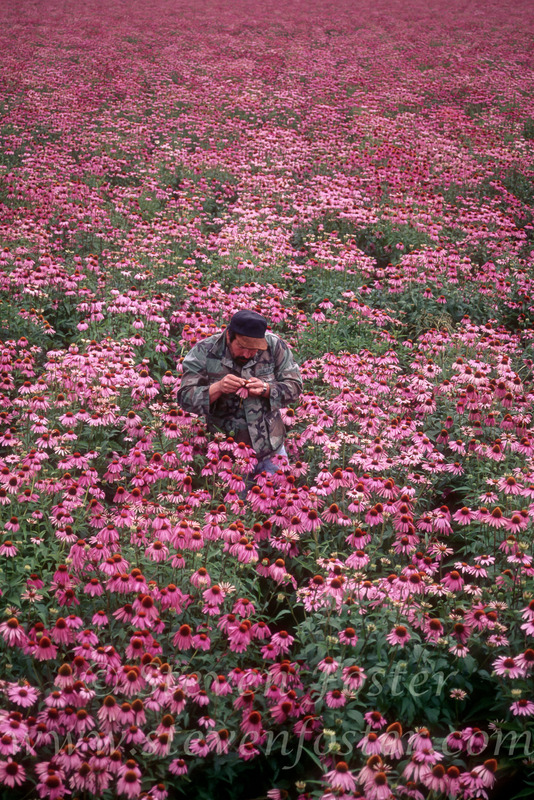 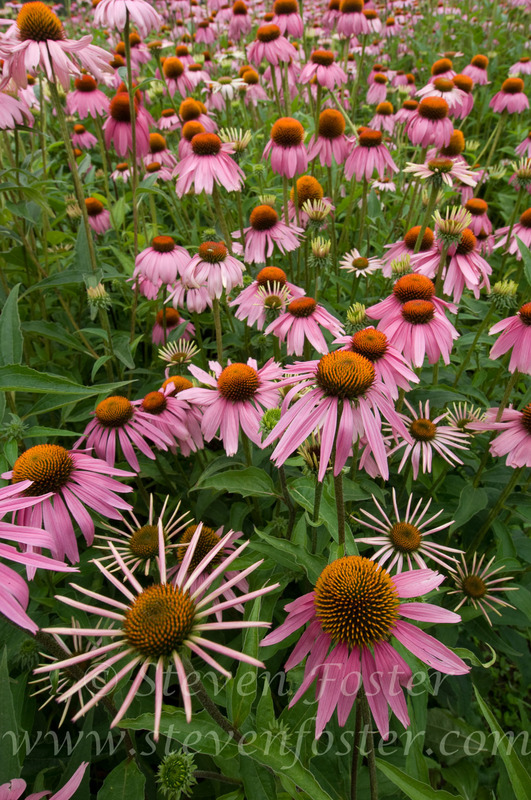 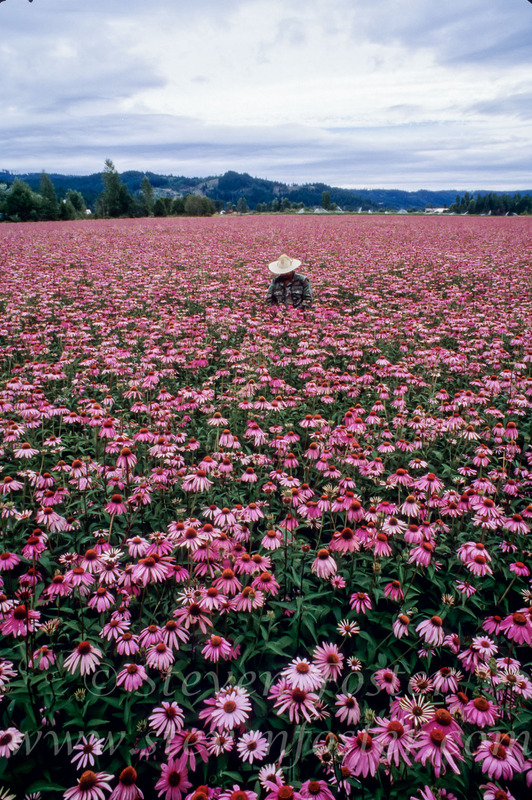 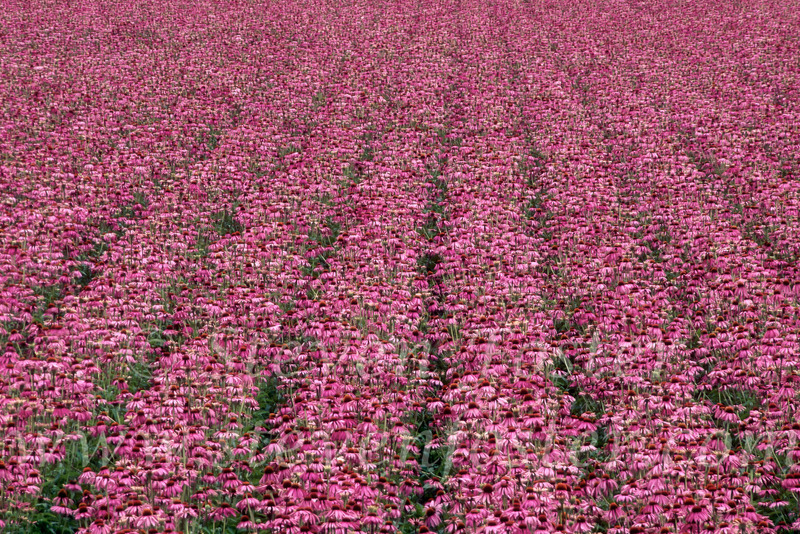 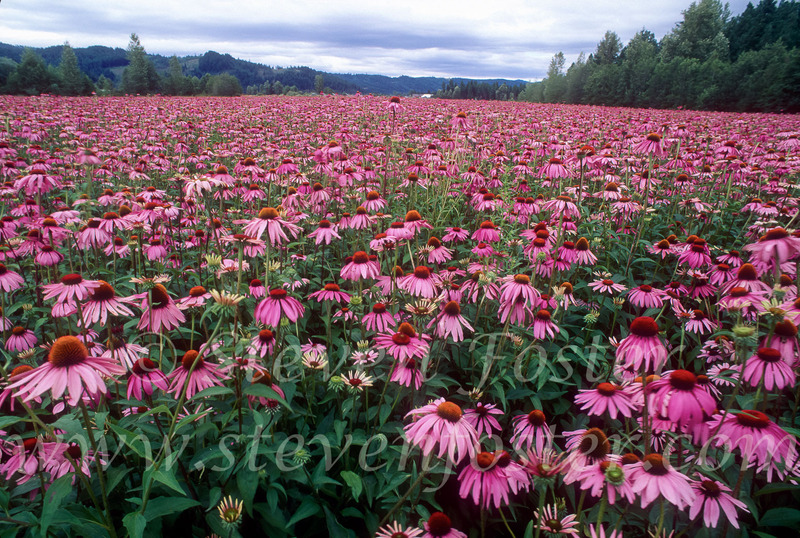 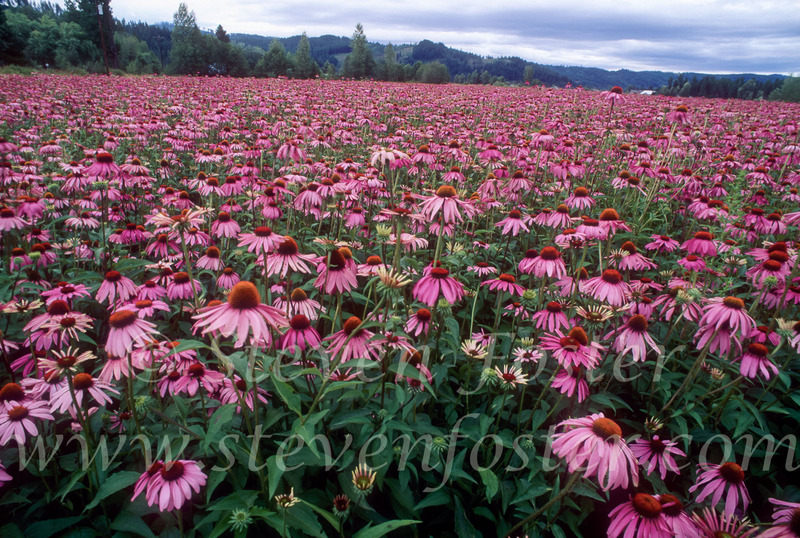 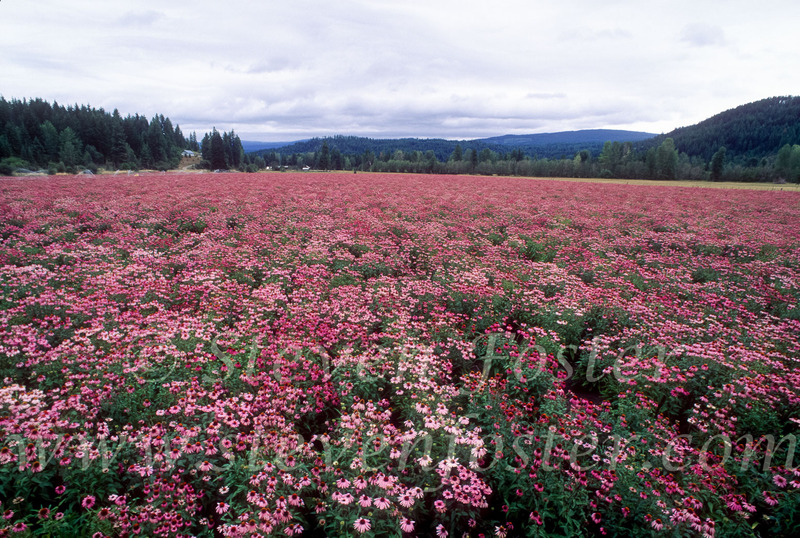 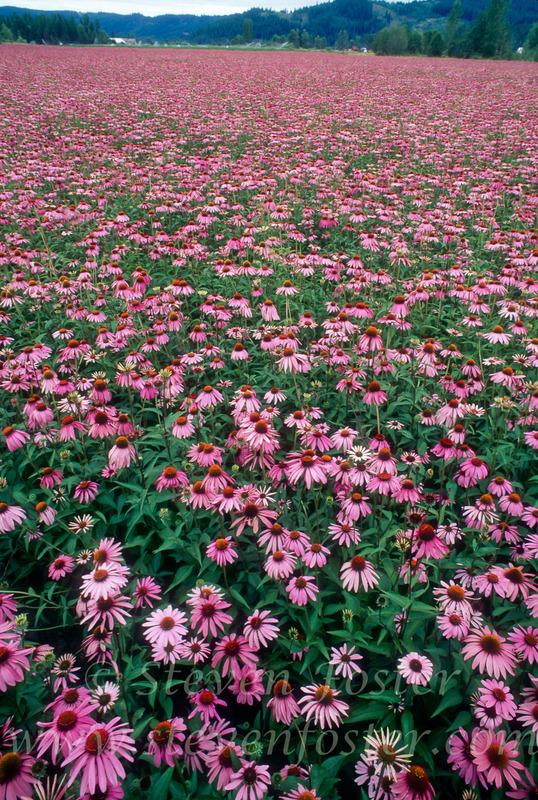 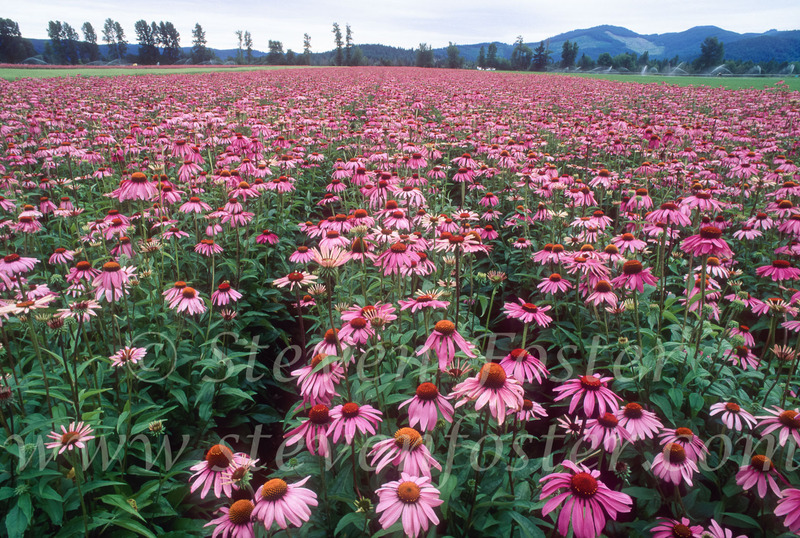 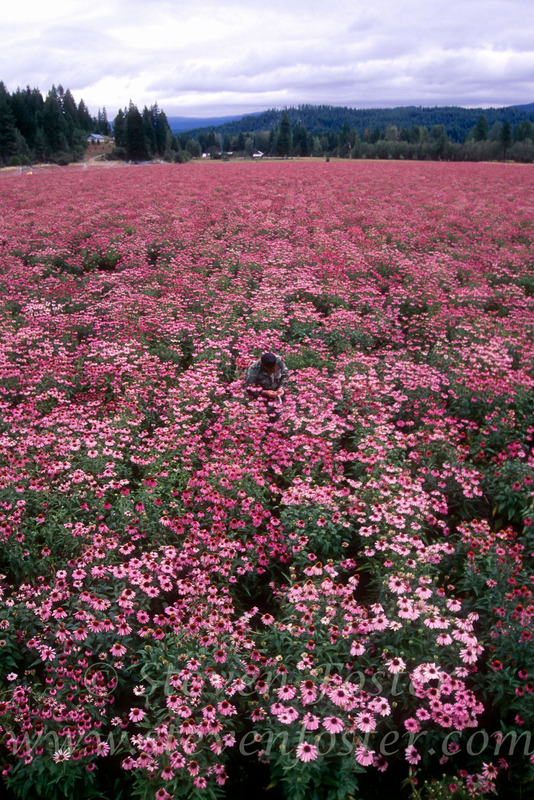 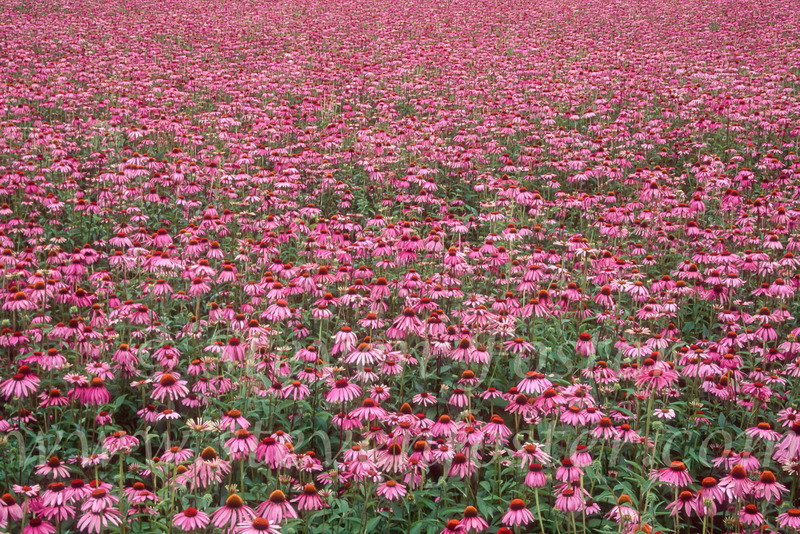 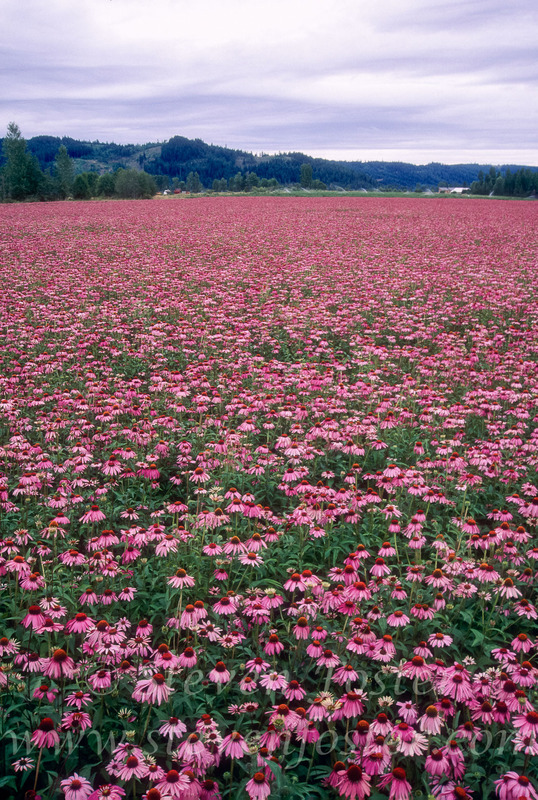 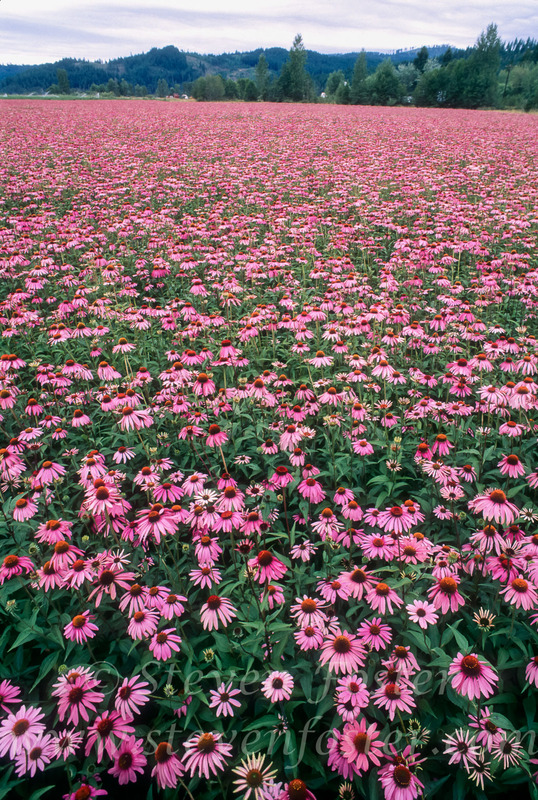 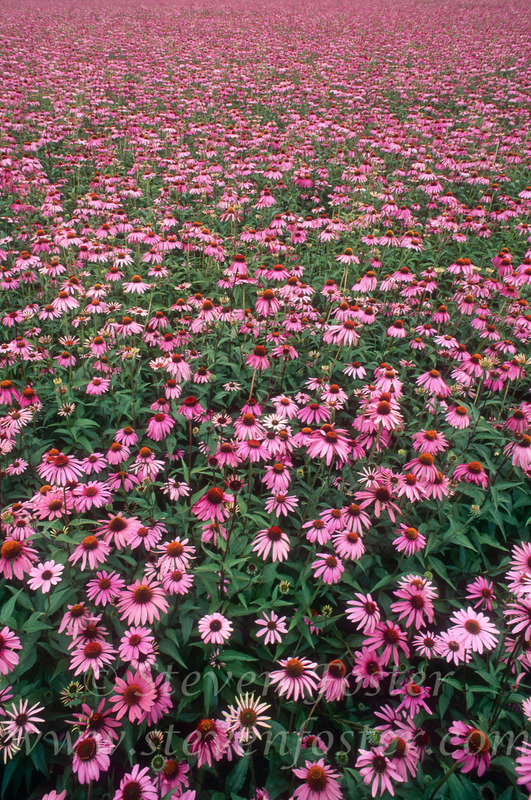 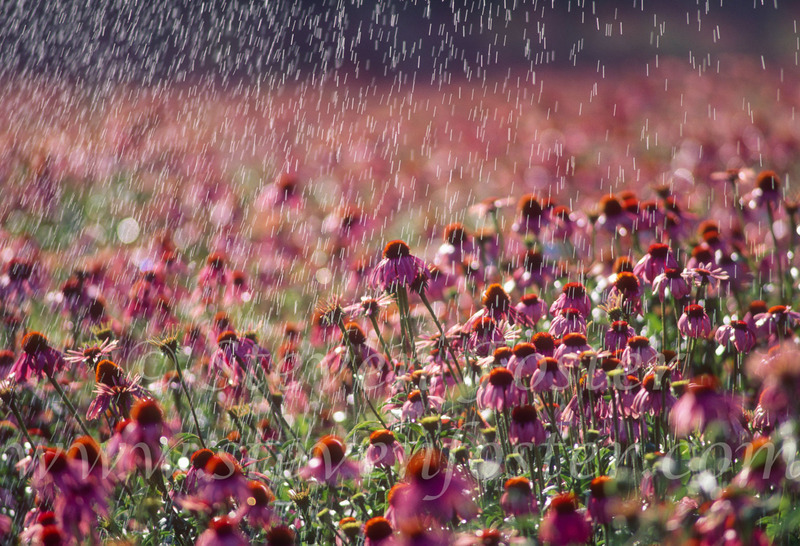 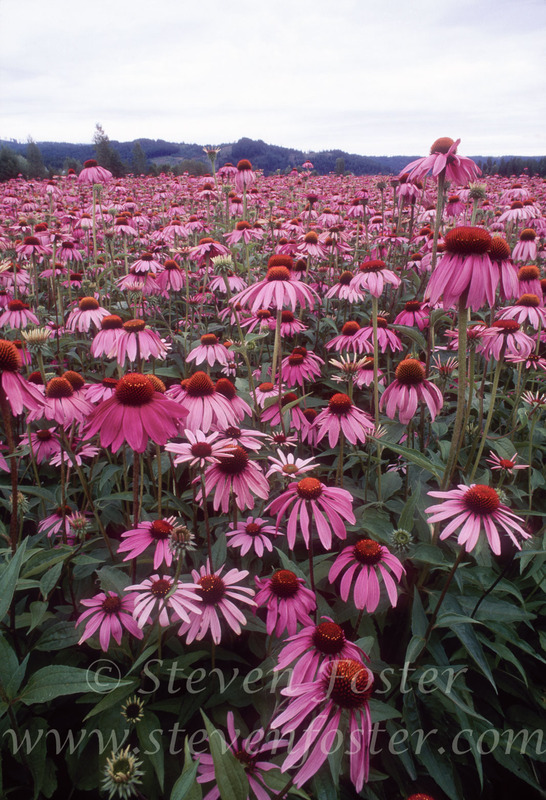 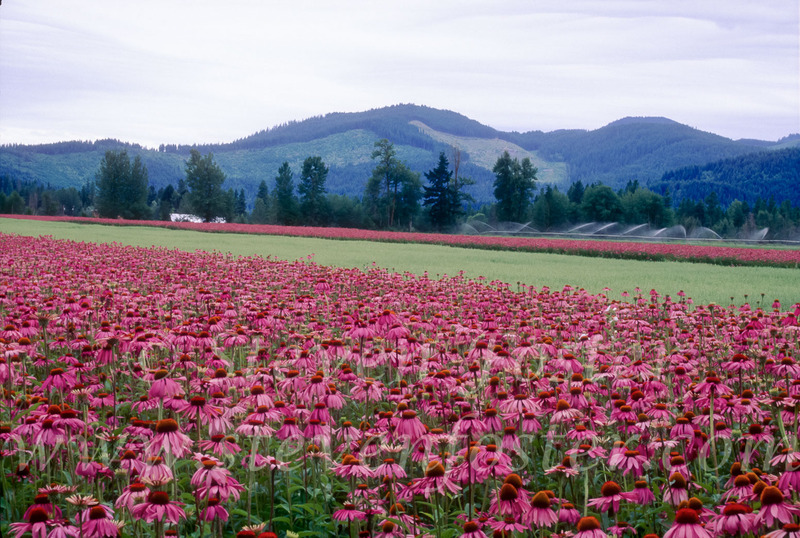 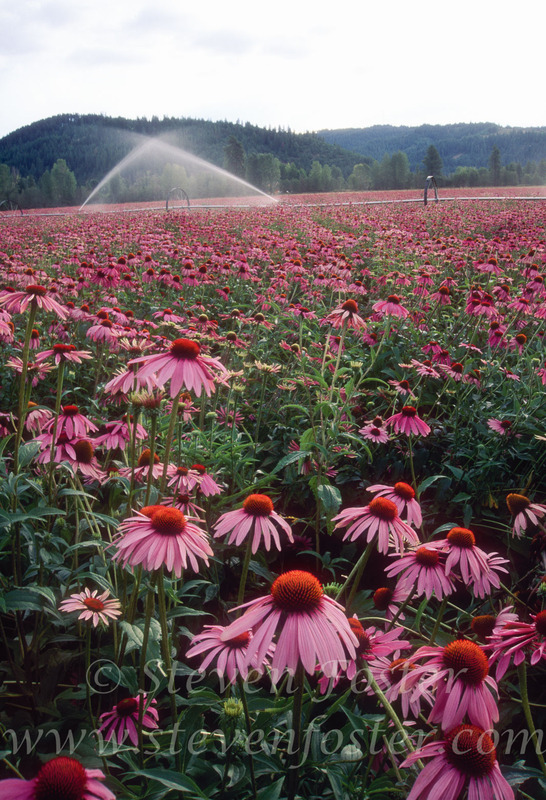 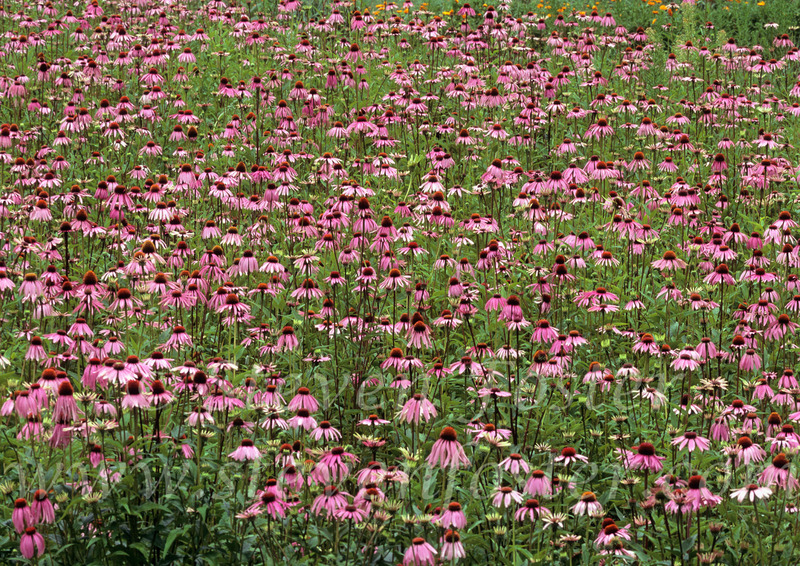 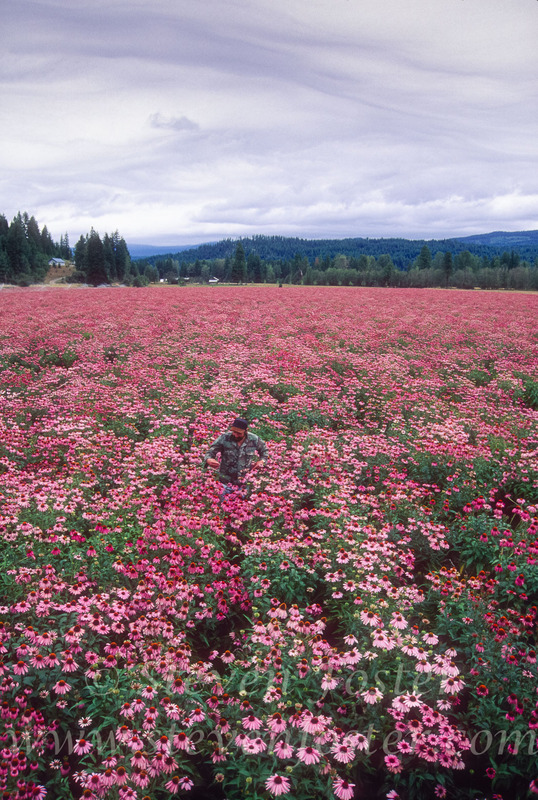 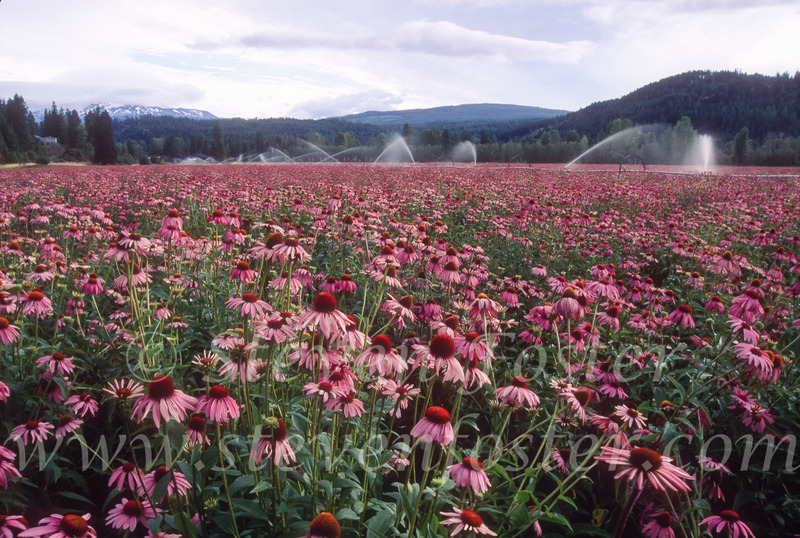 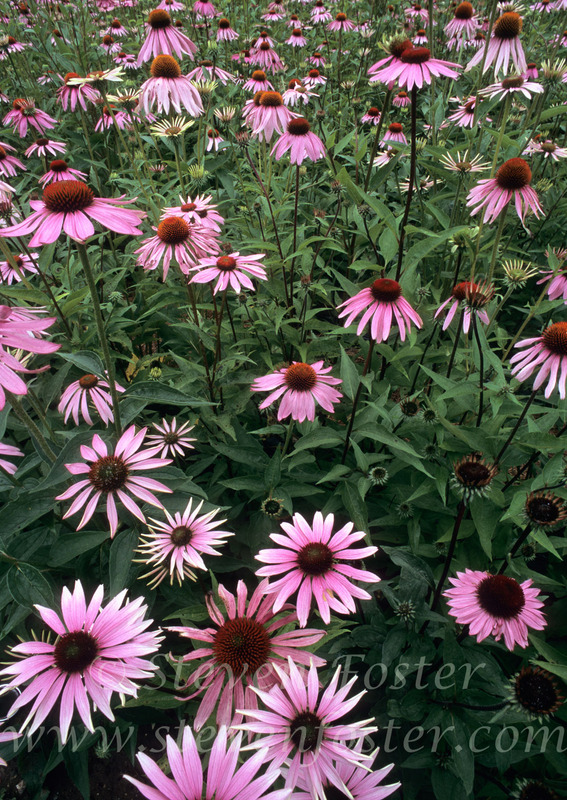 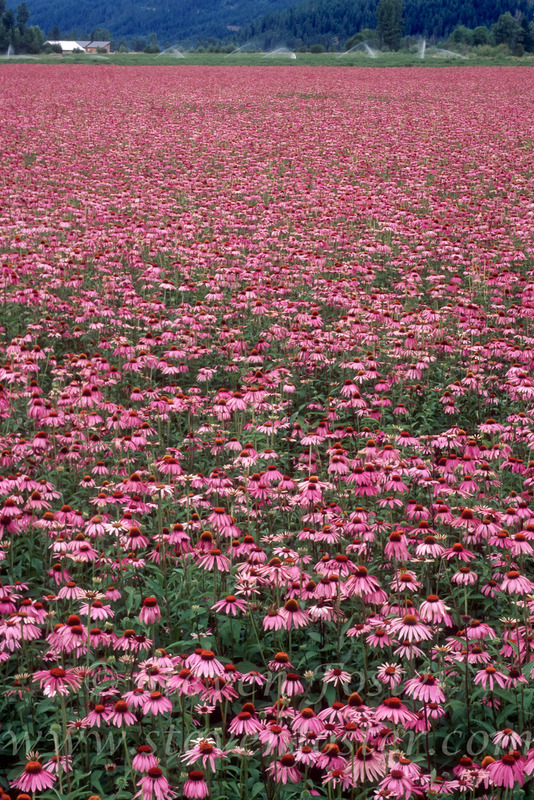 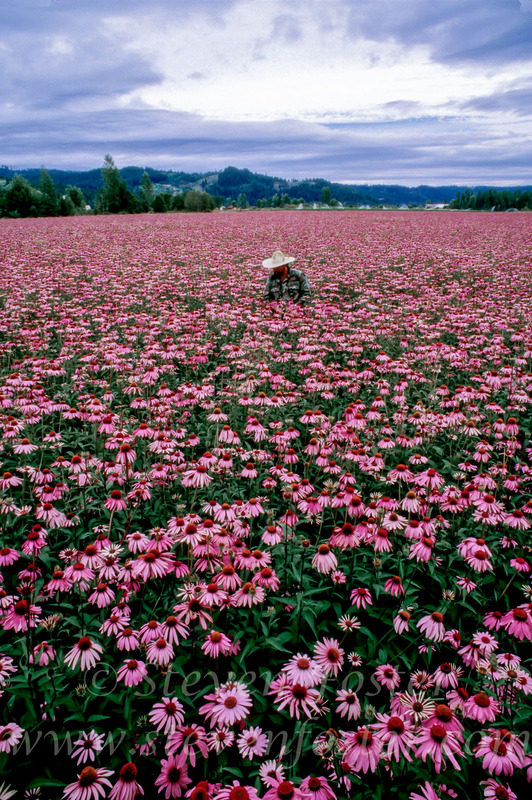 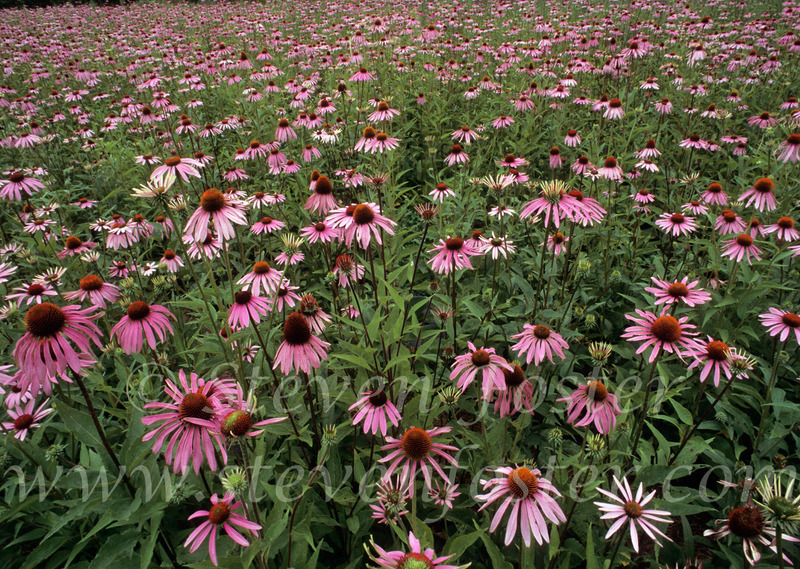 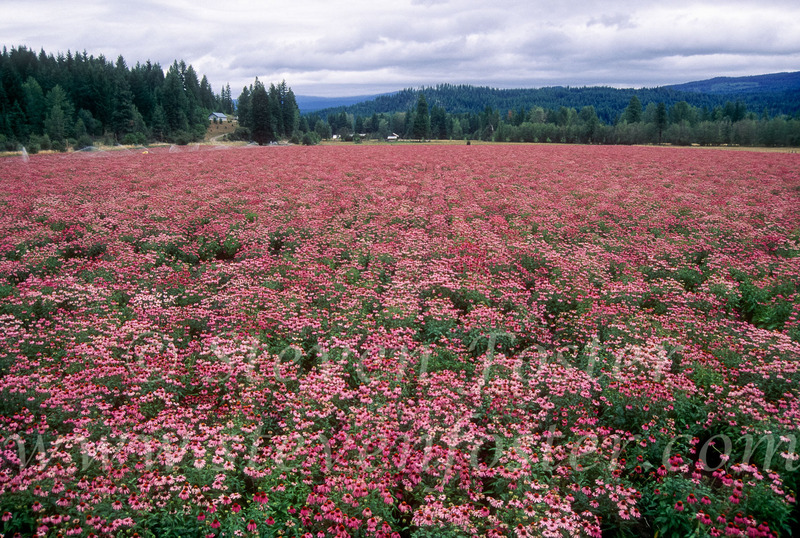 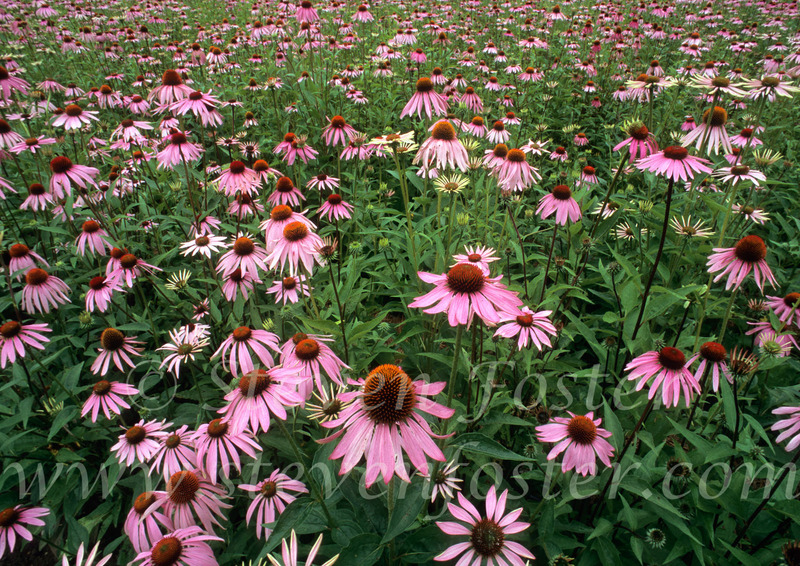 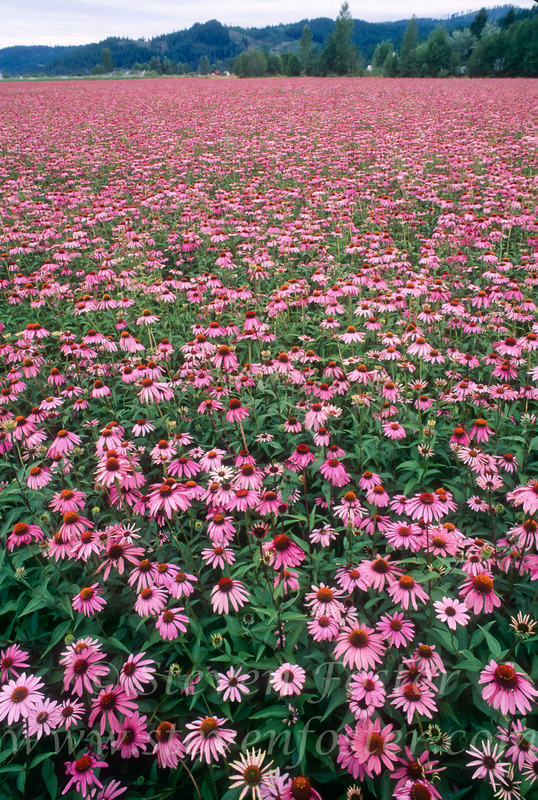 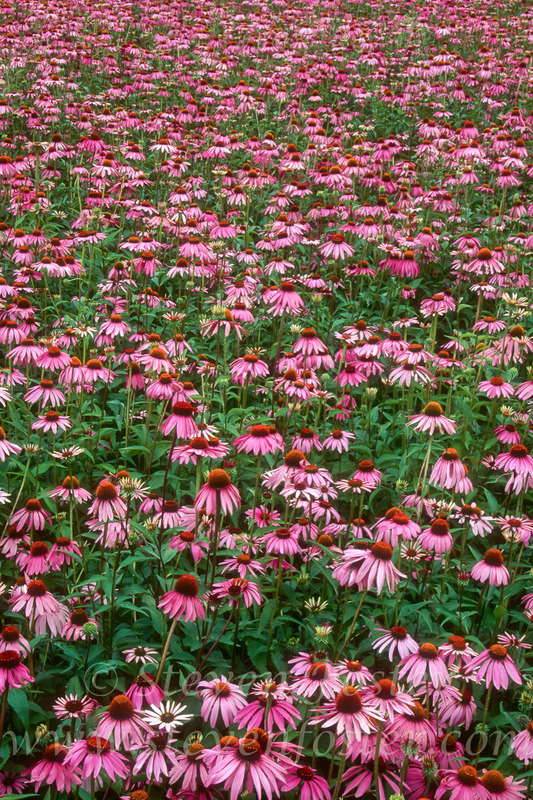 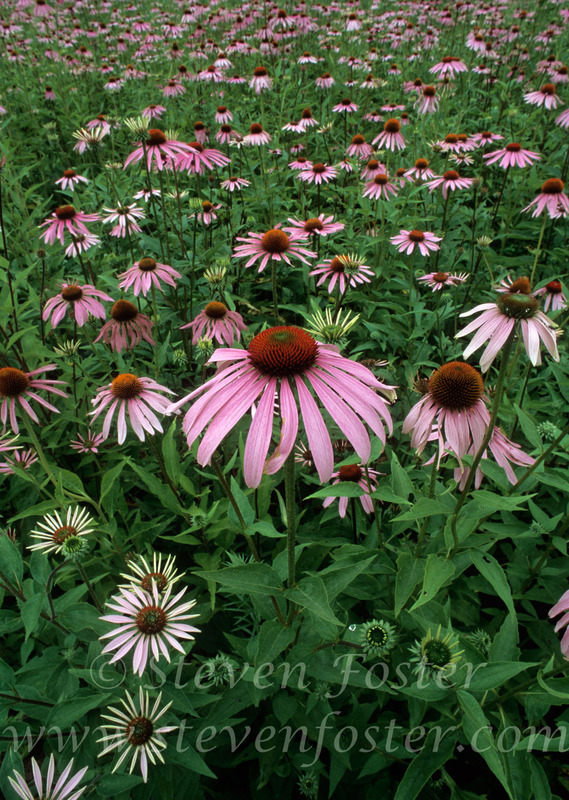 The entire world's commercial supply of Echinacea purpurea is cultivated. 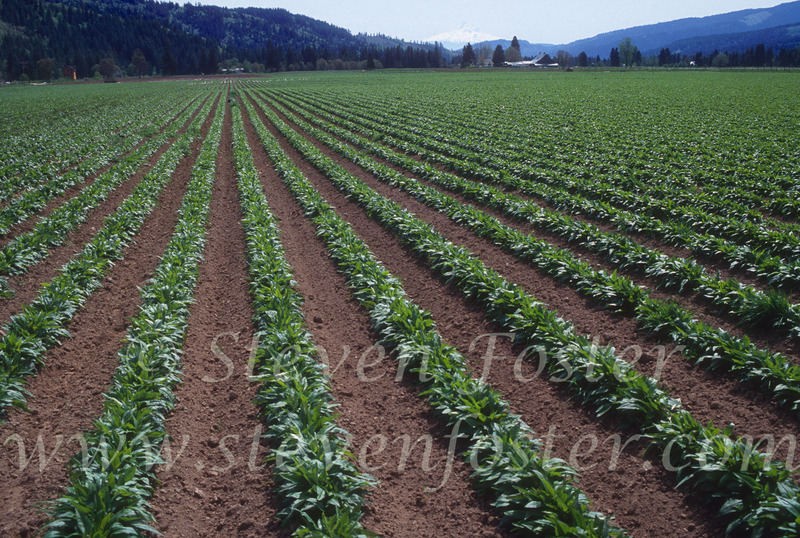 Pictured here are farming operations in Iowa, Vermont and Washington in the United States, as well as Germany.